Hey, we’ve all got to start somewhere. And that I suppose is the theme this month in my garden. There are no showstoppers. No amazing spring miracles to report. No beauty shots of a well kept spring garden. It’s just this ol’ work in progress, folks. Here are some photos of where things are at today, April 17th 2015. It’s been a very long time since my last post in 2013. 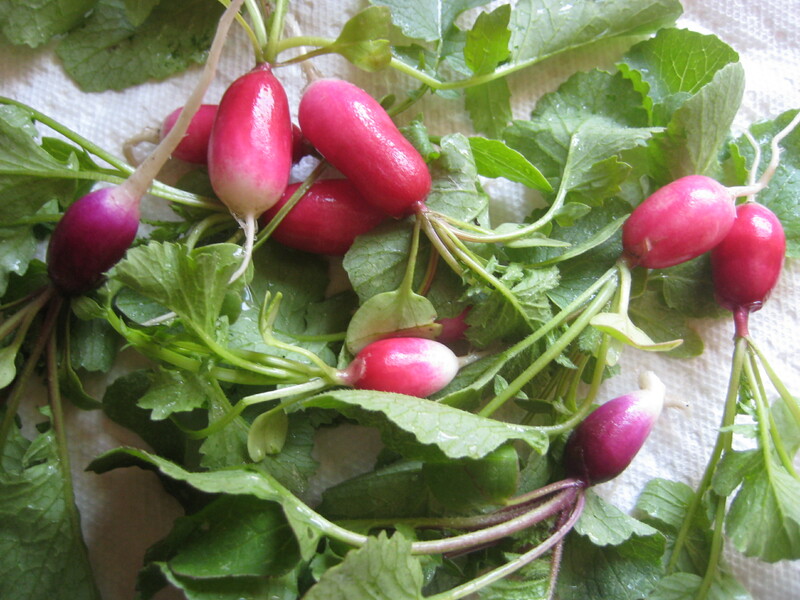 My 2014 garden had it’s ups and downs, on which I did not report. 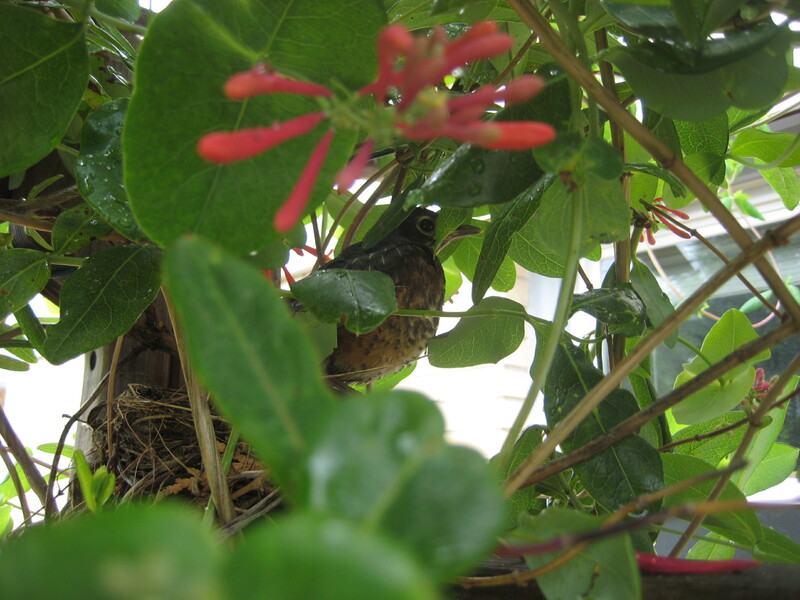 Instead I took some time to reflect, focus on the work of the garden and mostly–tend to my May 2014 baby boy. That boy is turning 1 in a few weeks. 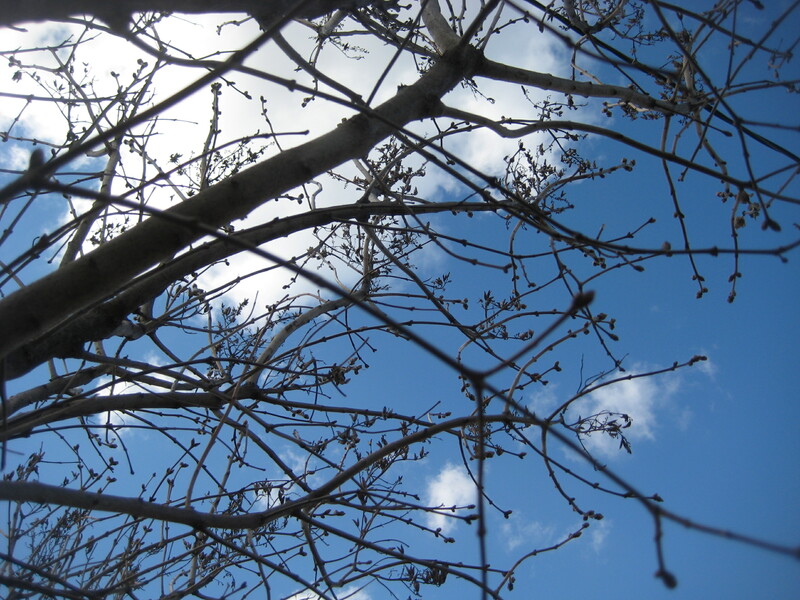 I intend to give him–and his siblings–the gift of a beautiful garden in 2015. So, here goes. We start here. Well. 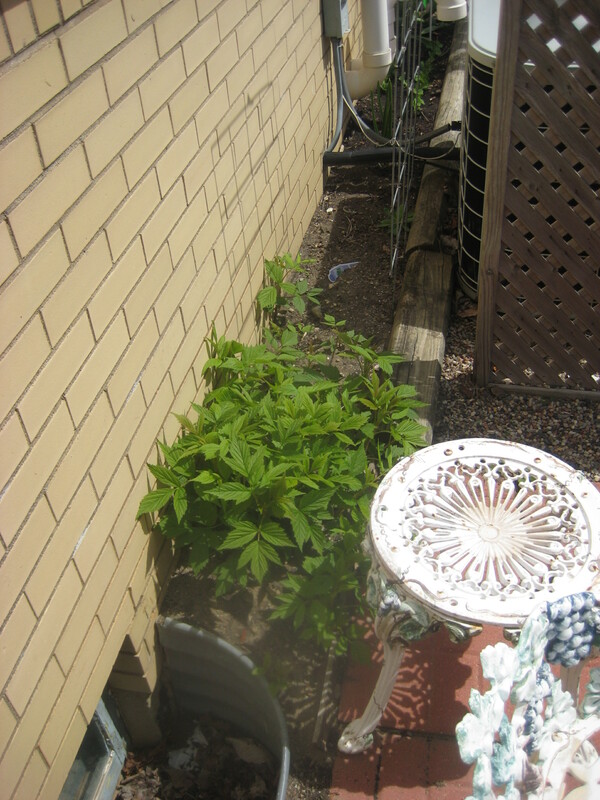 This WAS the lemon tree. I’m not sure what happened. 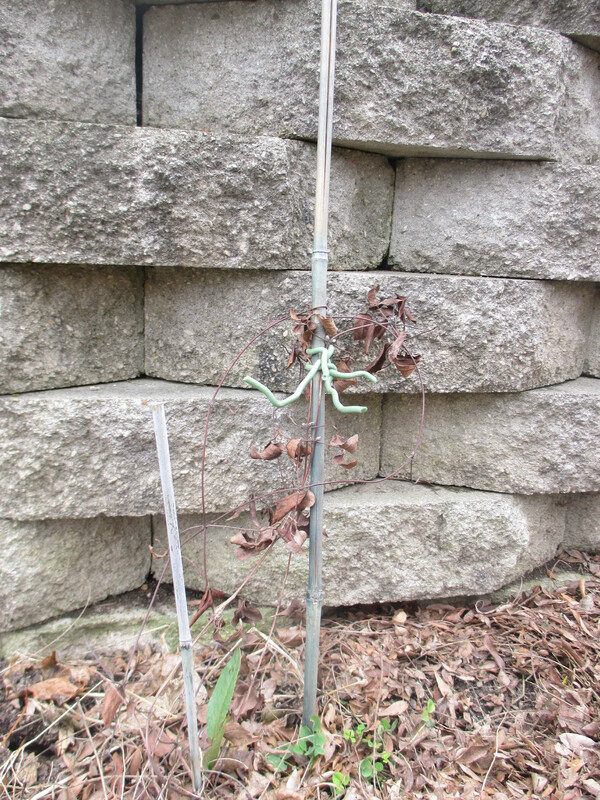 Perhaps I left it out too long in the cold weather earlier this spring. Or perhaps a curious three year old removed all the leaves. No one can say for sure. 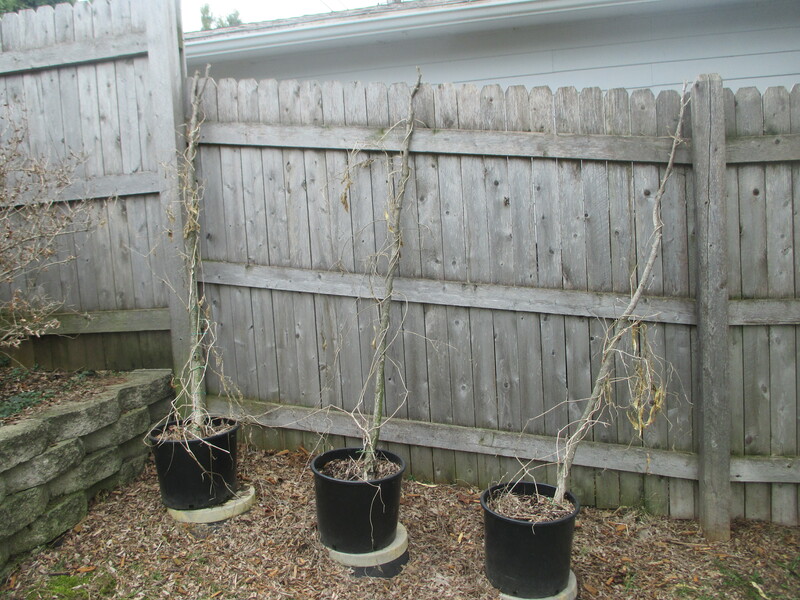 By the end of May I’ll remove last years bean vines from these pots, add some new potting soil and get new beans started. 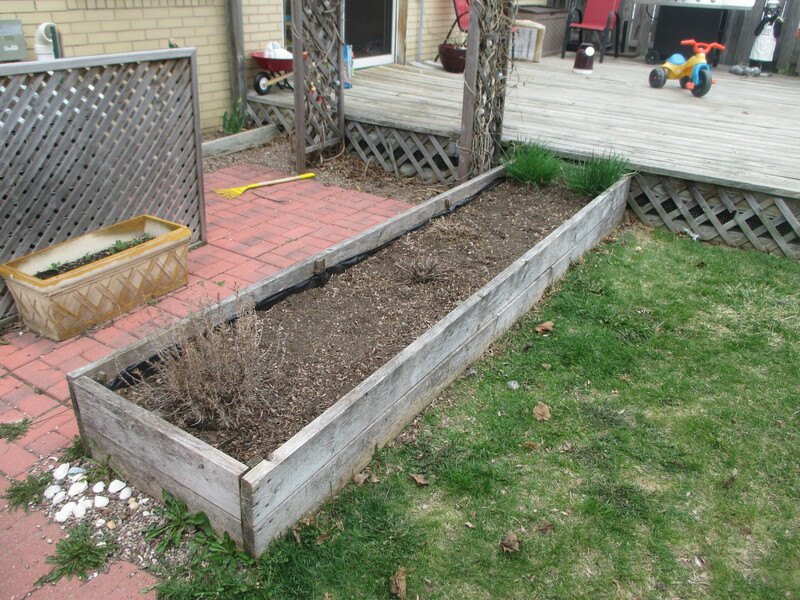 This back bed contains perennials, but also garlic. 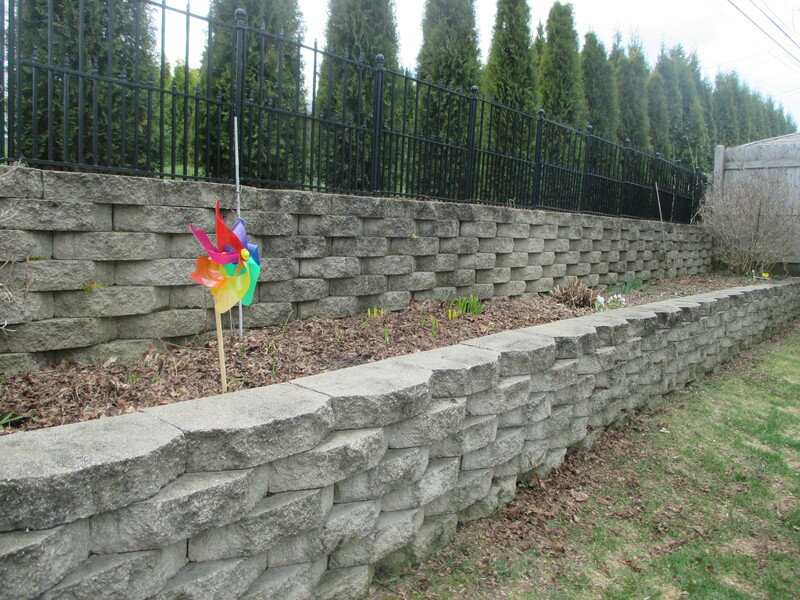 My daughter planted 22 oriental lillies in here last weekend. She would like to have a cutting garden this summer. 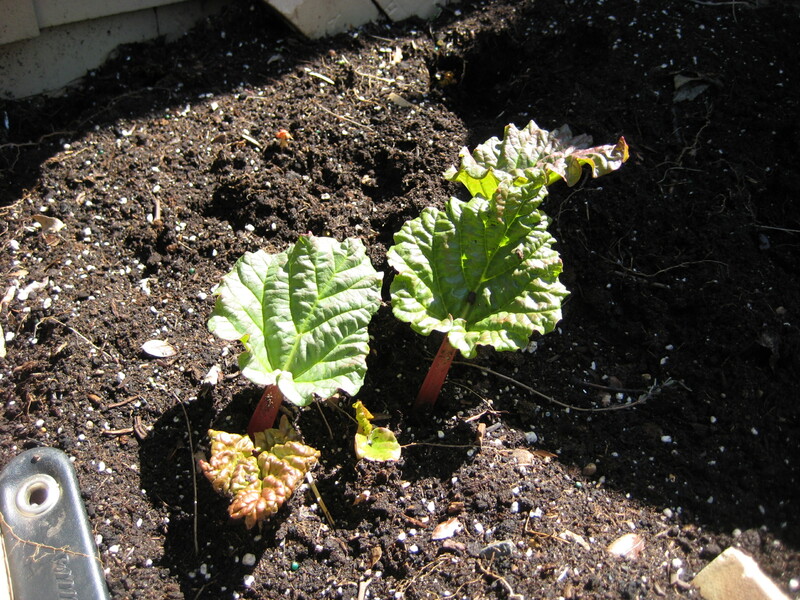 It’s always a happy day when the rhubarb returns! 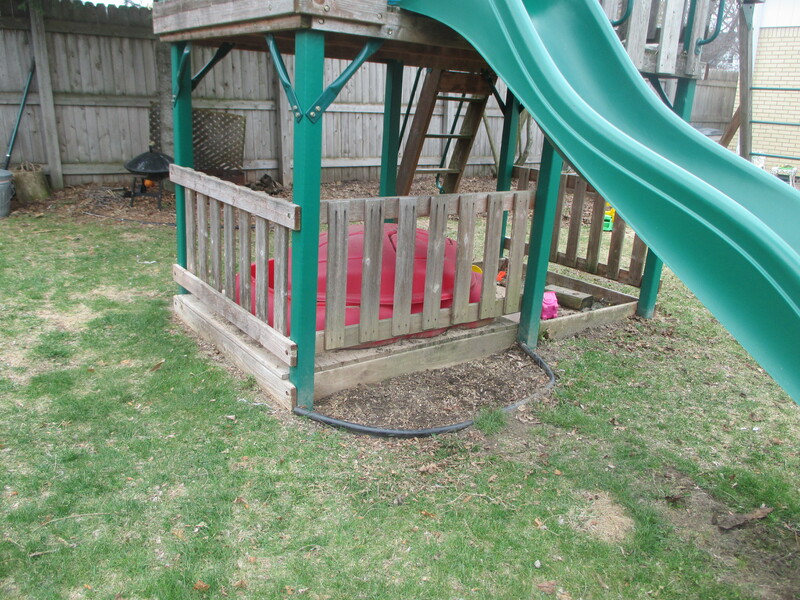 My son planted 30 gladioli in this small garden under the play set. It’s pretty shady, but if they grow it will brighten up this spot quite a bit. I’ve made my way to about the middle of this garden bed, so far I’ve planted radishes, carrots, peas, pak choy and some flowering broccoli. Lots more to come in here. 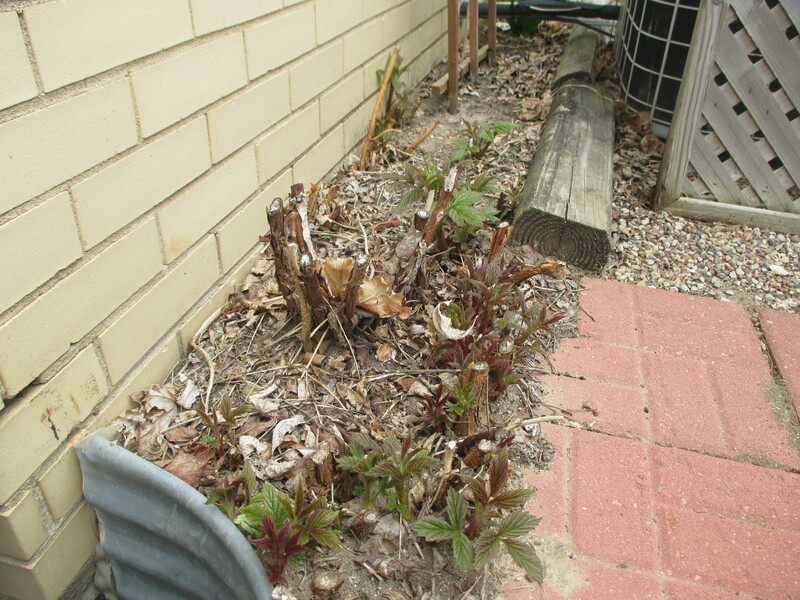 I’m wondering if this clematis will do anything. It barely grew last year but is showing a few buds on the old growth. I’m hoping for the best. 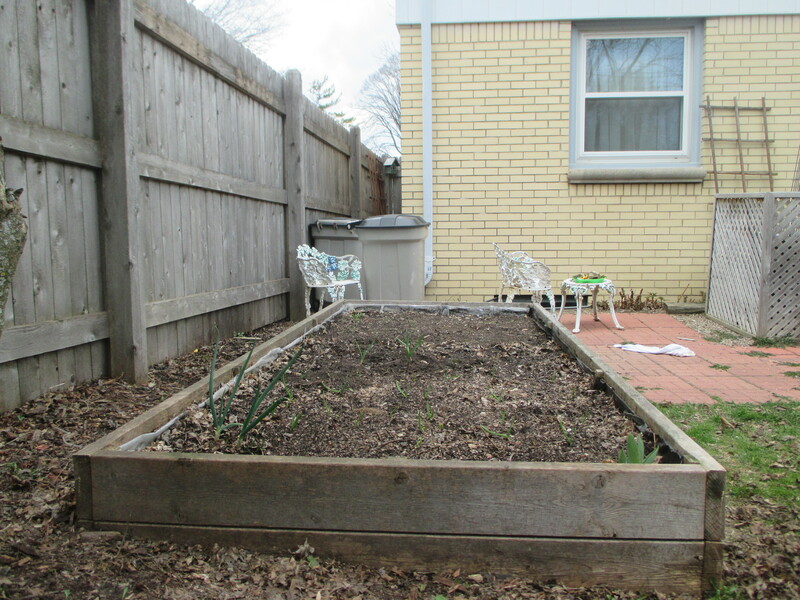 Onions and garlic now poking through the surface of this garden bed. 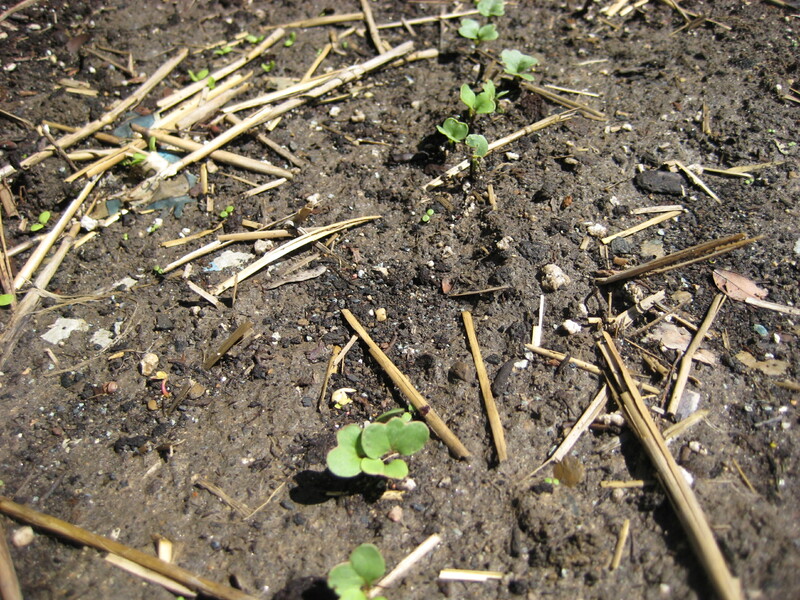 Teeny tiny spinach and arugula seedlings are scattered on the other end. Strawberries are in a new location this year. Looks like at least some of them will grow just fine here. 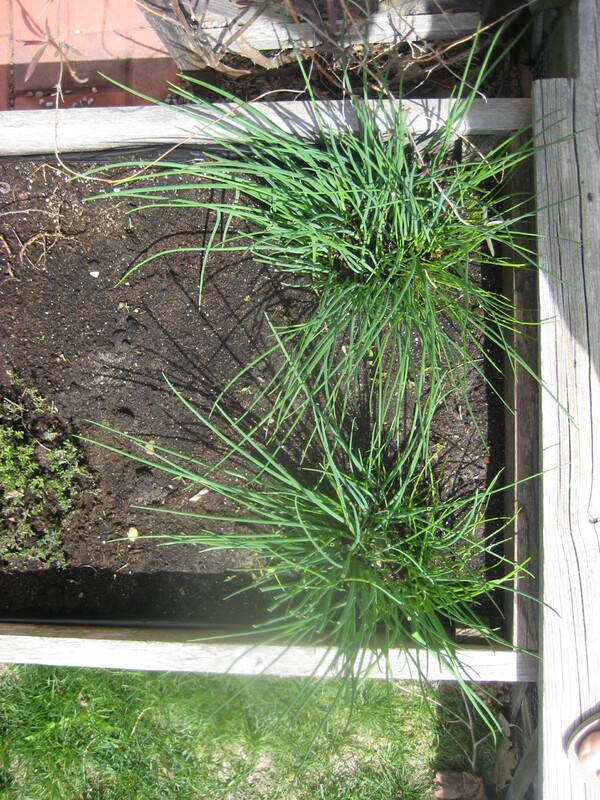 Chives seem to be the only green visible in the herb garden. Oh no! I don’t think this rosemary survived the winter. 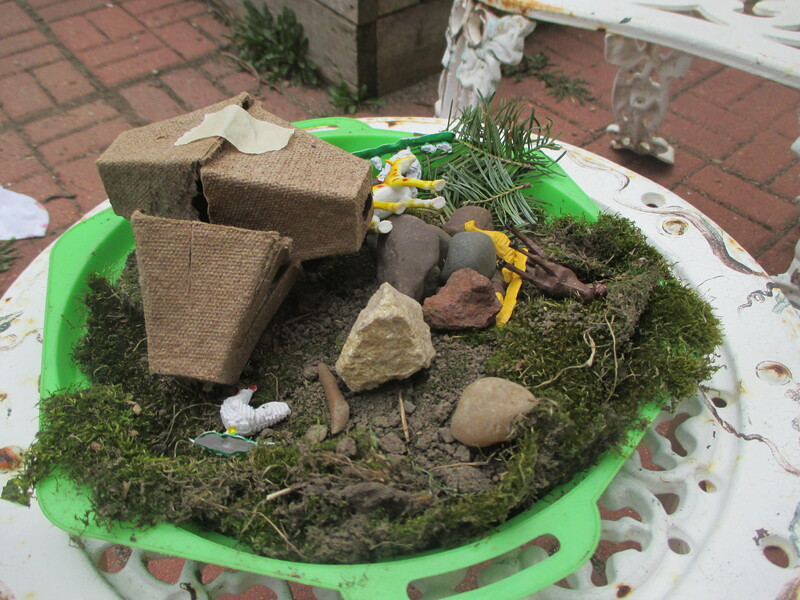 The kids have been collecting materials to create a fairy garden. 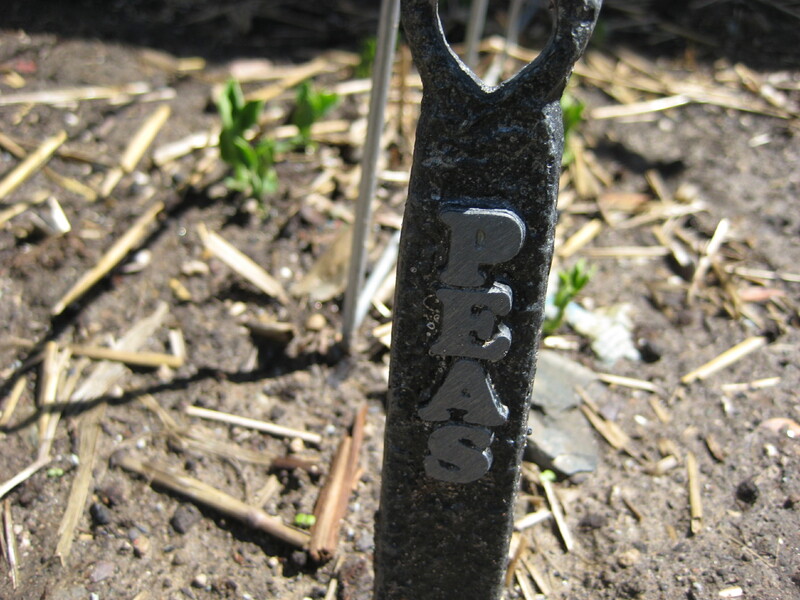 These peas we planted in March are coming along. Here are my starts. 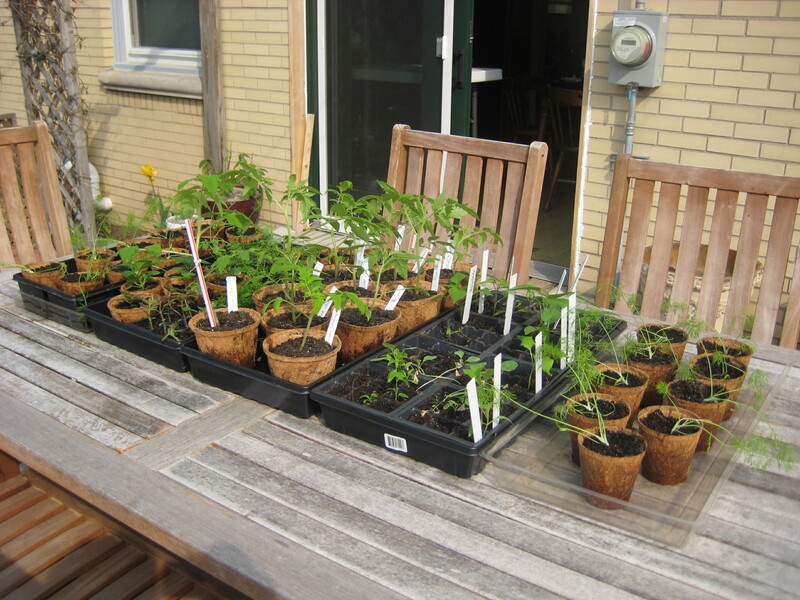 There will be another tray planted soon, but for now I have various kales, tomatoes, peppers, eggplants and parsley. 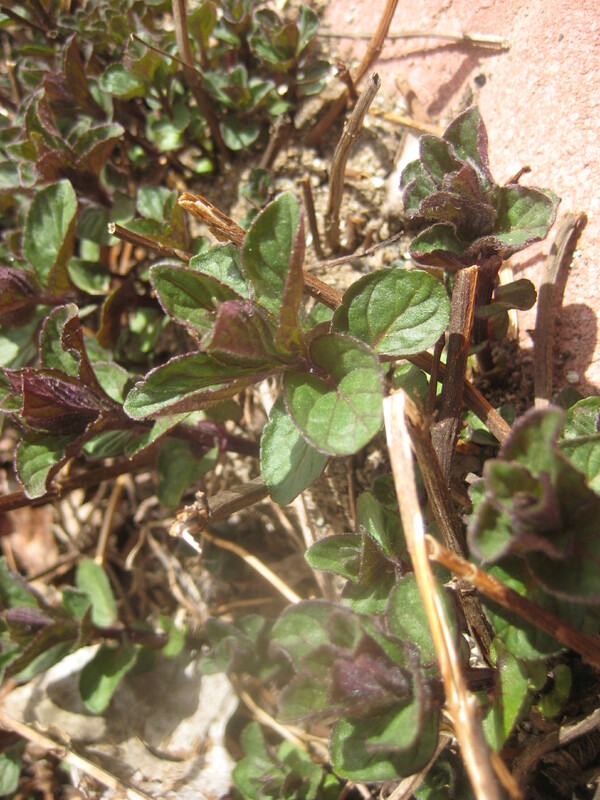 Excited to see the chocolate mint once again. Photos from the first week of May. Peas… I crowded them in there on purpose so we could snack on the pea tendrils. 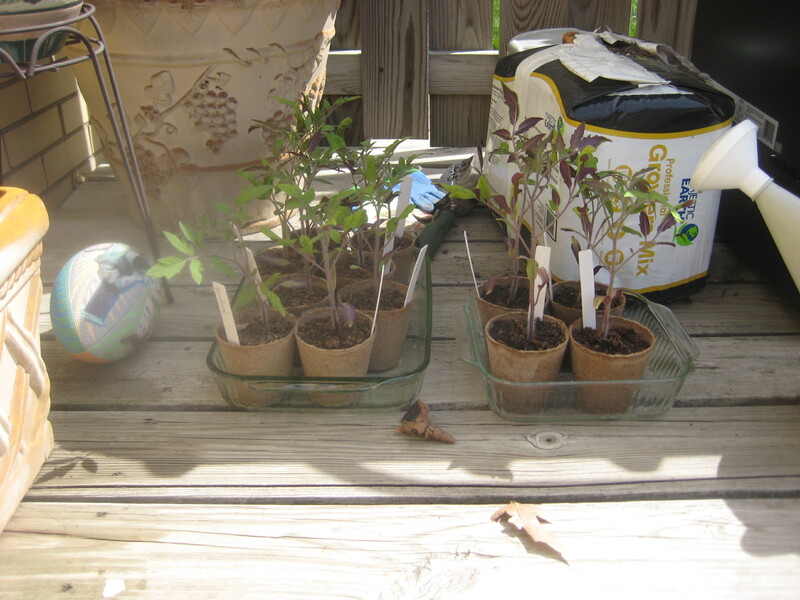 Tomato seedlings, first day outdoors. Chives are in and we’ve been eating them. Herb garden in foreground and veggies in the back. 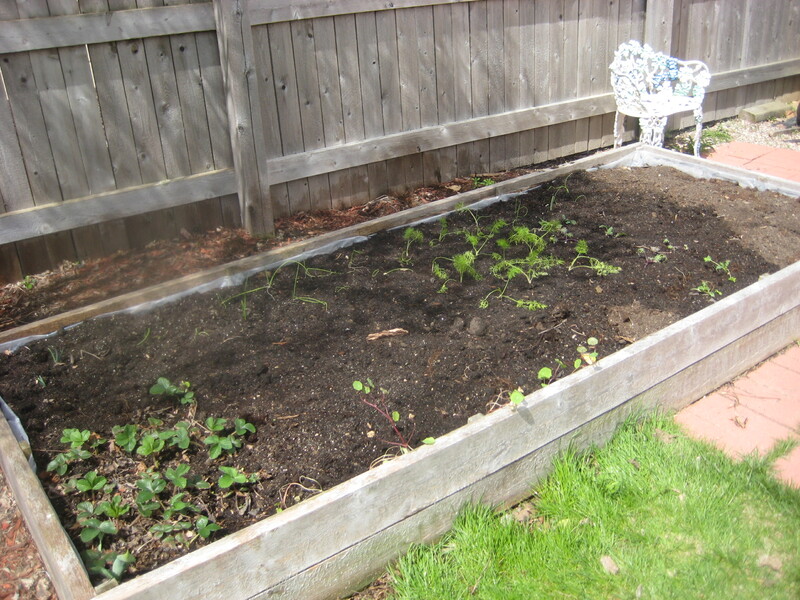 This raised bed is planted with strawberries, walking onions, red onions, leeks, fennel, three kinds of kale and nasturtiums–so far! Much more to come. 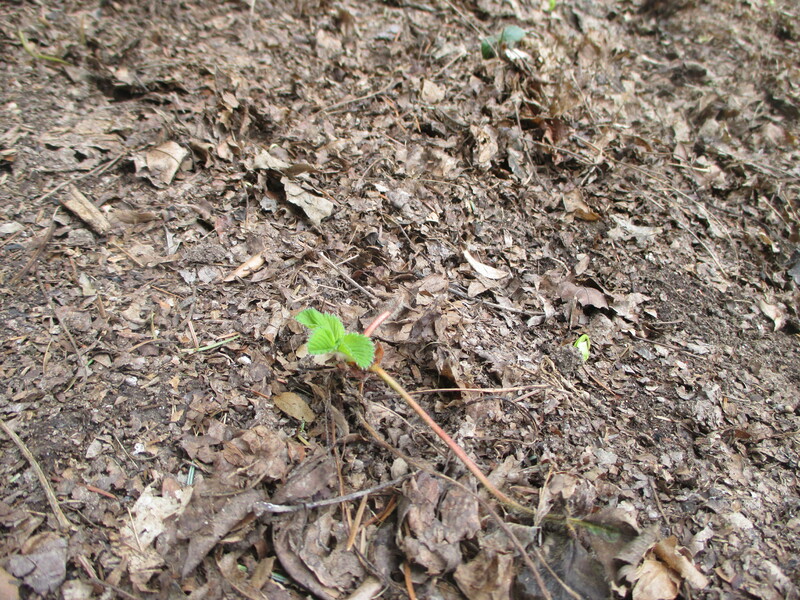 Raspberries on their way up. The raspberries have filled in their spot nicely this year. Mint is starting to grow back. I was able to harvest some for my Derby Day mint julep. 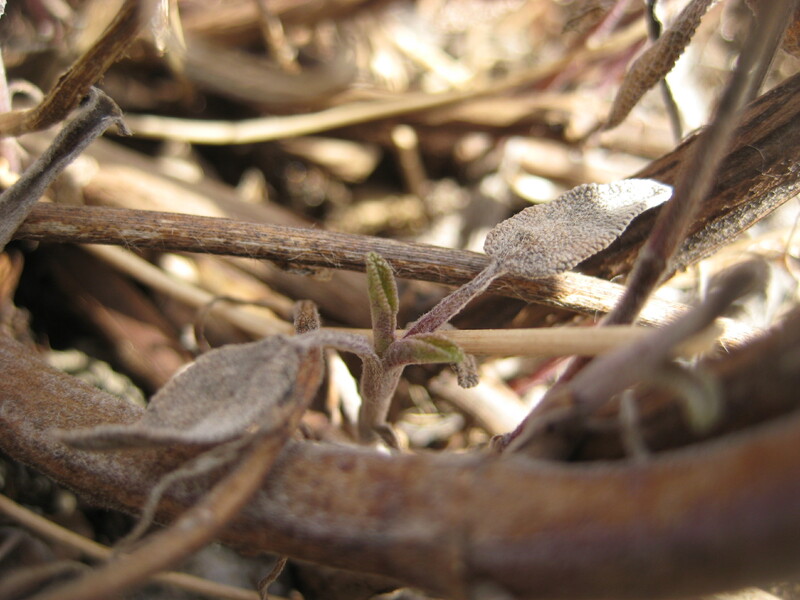 Close up of the mint. Here is the garlic. It seems to me that several cloves did not grow. A new development involving some buckets. I’ll keep you posted! 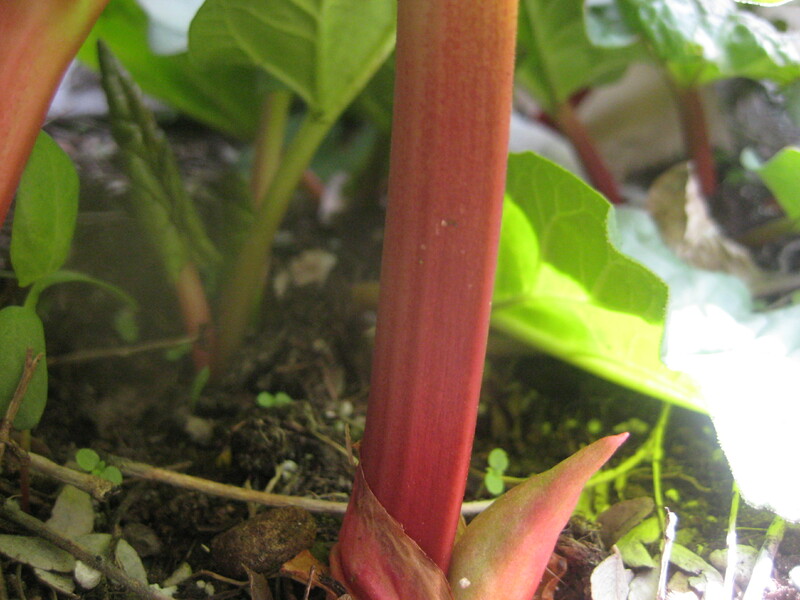 I love the color of the rhubarb stalks. 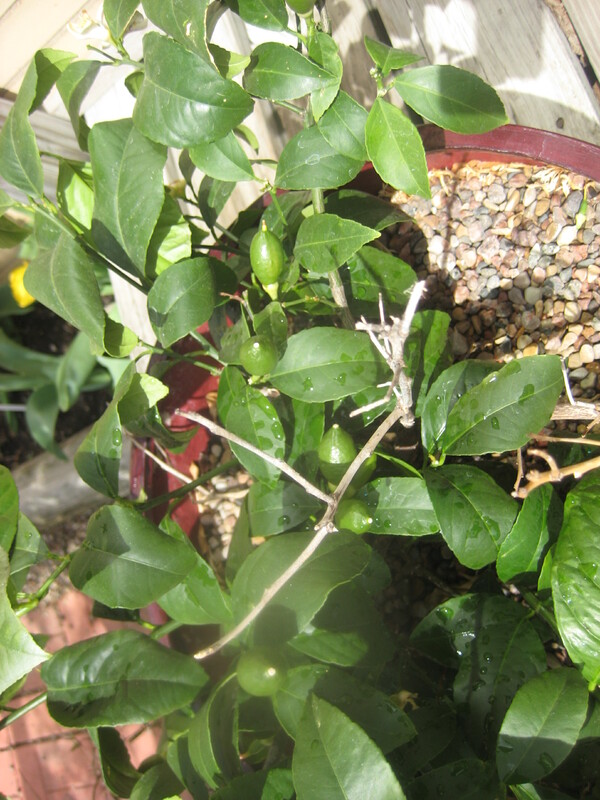 The dwarf meyer lemon tree is doing better than ever and sporting several lemons. I didn’t even count them, there were so many! 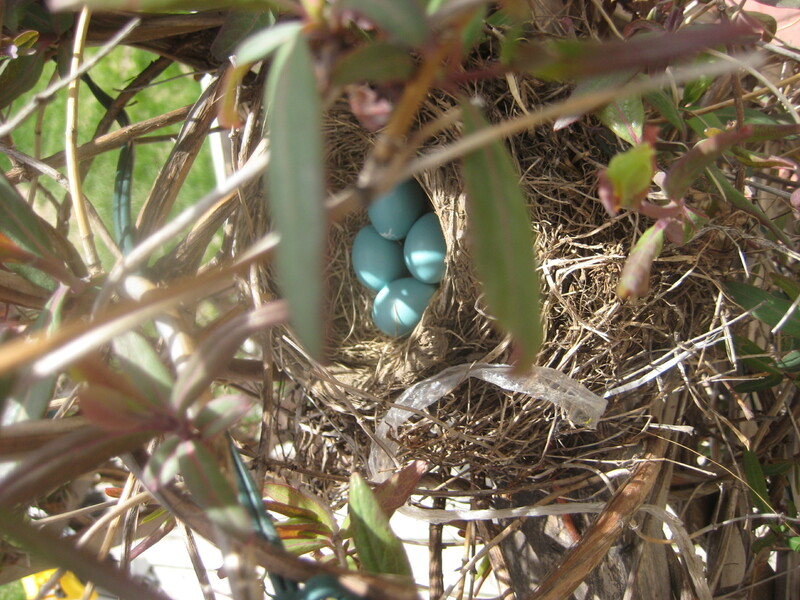 Robins have returned to my honeysuckle trellis and here are their eggs! Please note: I realize all of these photos have a smudge on them. Unfortunately, I didn’t realize it until it was too late. This is what happens when you let your kids use the camera! I should also mention that some of the photos at the time of publishing appear to be the wrong way. I’m working on it, and it may be that as you view it they will already be corrected… I’m not sure what is wrong on my end since all looks to be right. Photos from the month of April. To better view the photos in this edition of “Photos from…” click on a photo. You’ll be able to scroll through a slide show of all the photos. The beet ravioli recipe is here: Michael Symon’s Goat Cheese and Beet Ravioli. I substituted ricotta cheese for the goat cheese and sage for the tarragon with delicious results. Loved this weekend’s “Family Circus” comic strip. God is truly the greatest artist of all. We’ve been harvesting chives for well over a month. This week the chive flowers appeared. A row of radishes in desperate need of thinning. This lettuce blend is loving the sunny but still cool weather. I’ve cut it several times and it keeps coming back. So many tasty salads from one small planting. My in-laws gave me this raspberry cane from their garden. 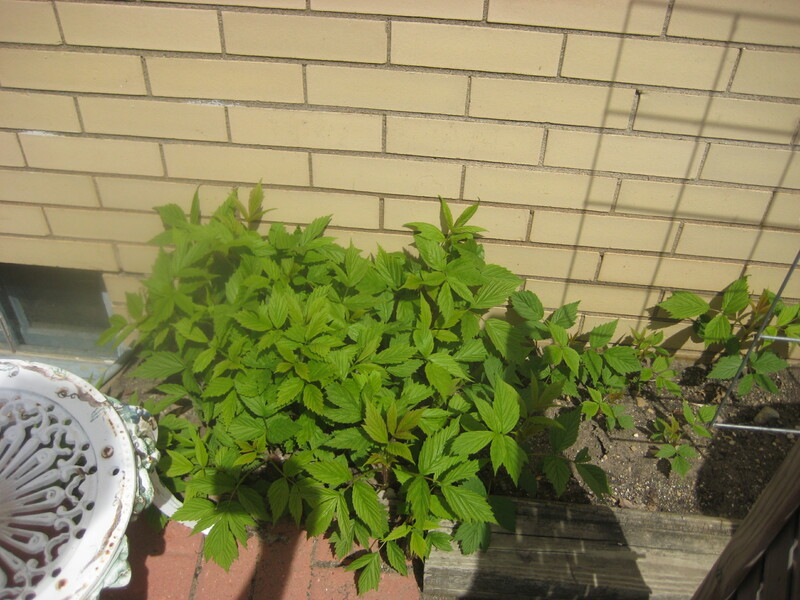 I planted it last fall and it looks like we’ll have raspberries this year. So happy! 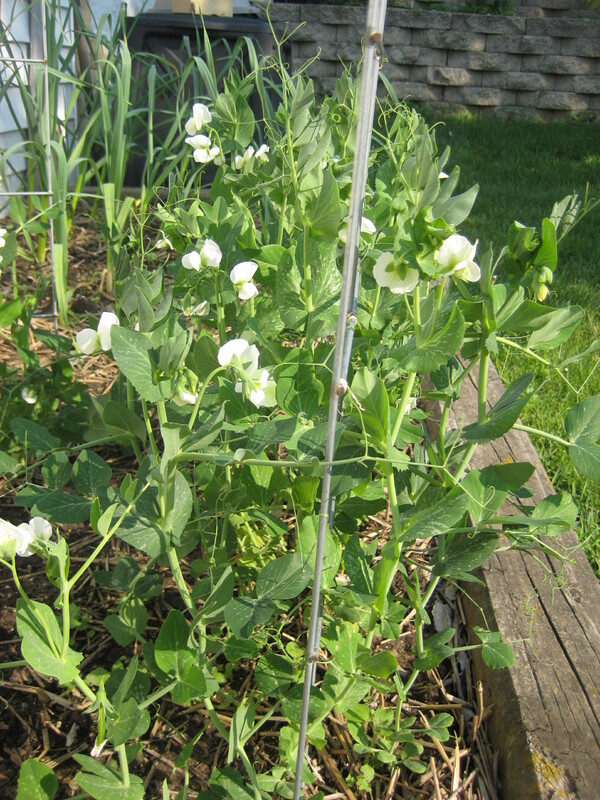 Peas are in a new spot this year and seem to like the sunny location. Strawberries have blossoms on them and look very healthy. We can’t wait to pick our very first berries. Sage is back and I’ve used it here with this beet ravioli to make a delicious butter sage sauce. The rosemary pot fell over and the plant broke off the main stem at the soil line. So now I have been trying to use the part that broke off in as many ways as possible. Here I’ve put rosemary on my potato/onion/arugula with fried eggs. Eggs go perfectly with greens and herbs. Washing the first arugula harvest of the year. I was very excited since this came much earlier than previous years. With the warm weather I planted arugula back in February! Photos from the third week of June. 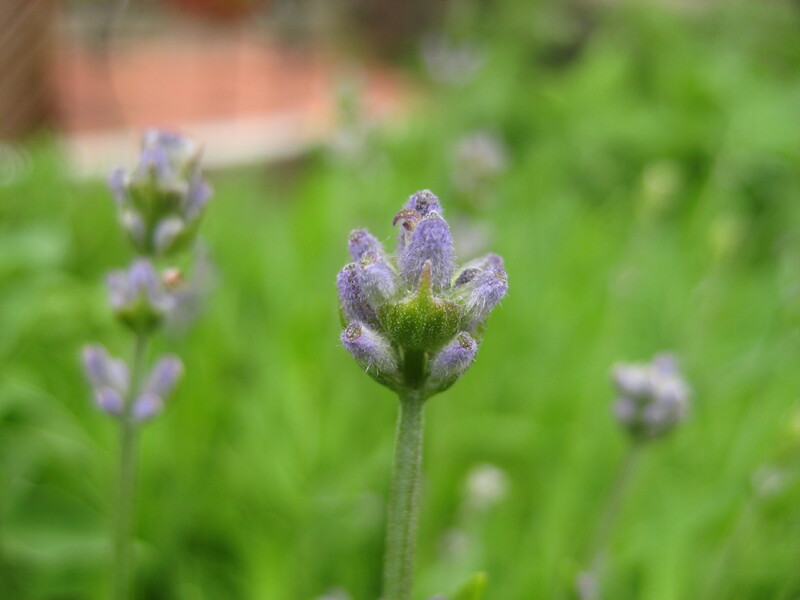 Lavender is beginning to flower. Soon it will be attracting beneficial insects to the garden. 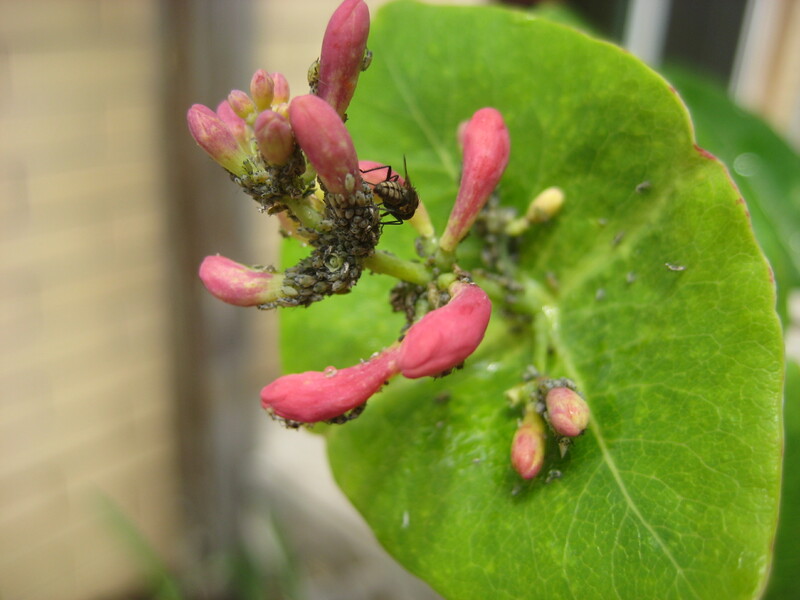 My honeysuckle has been attacked by aphids. 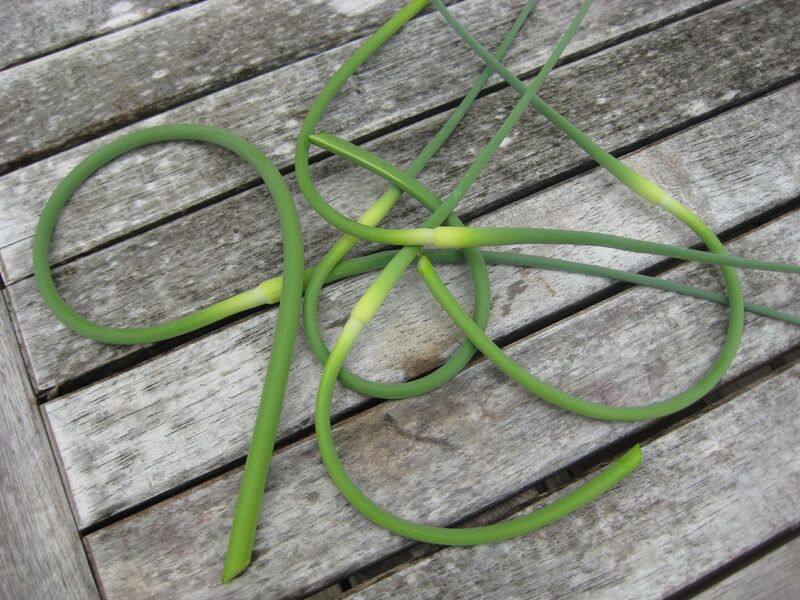 Garlic scapes are the flower stem of garlic. I harvest them and use them for pesto and salads. They have a light garlicky flavor. 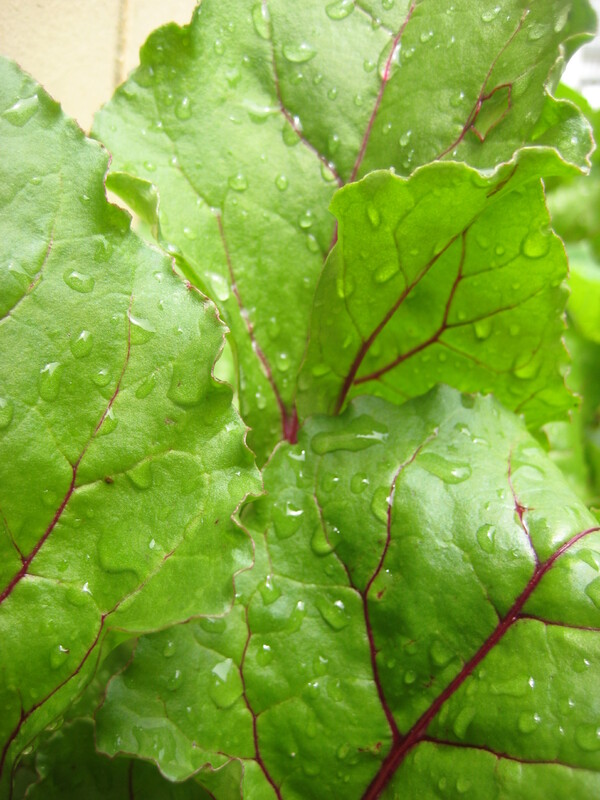 Beet greens with water beads after a rain. 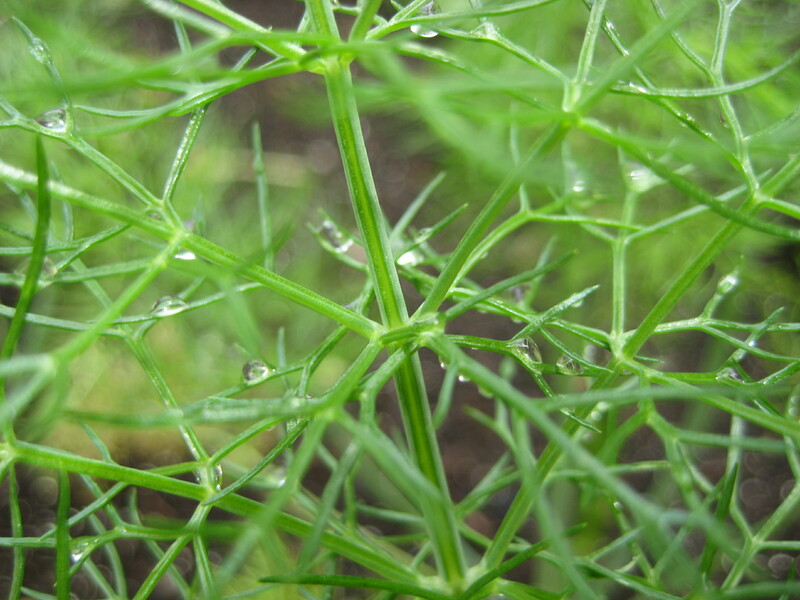 Fennel fronds hold beads of water after a rain. 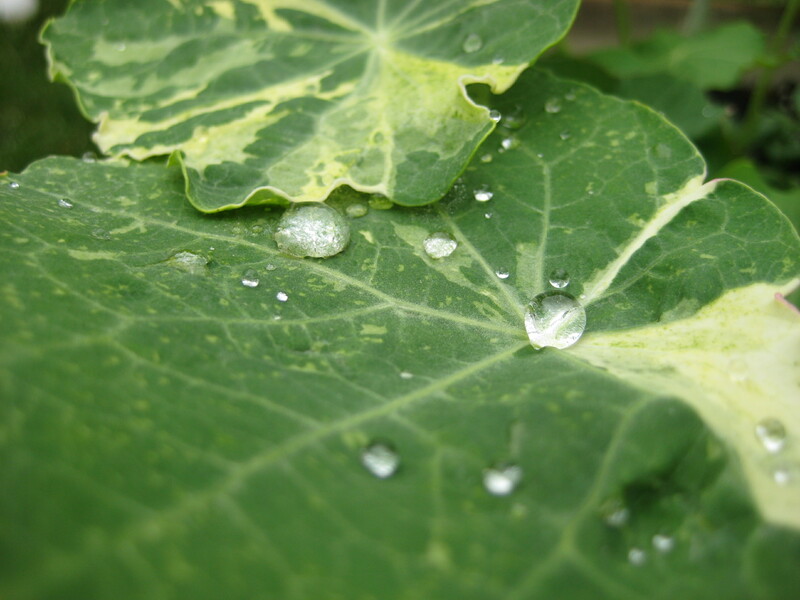 Nasturtium leaves also make a nice resting place for water beads. This rosemary plant is getting bigger by the minute, I've already harvested from it too! 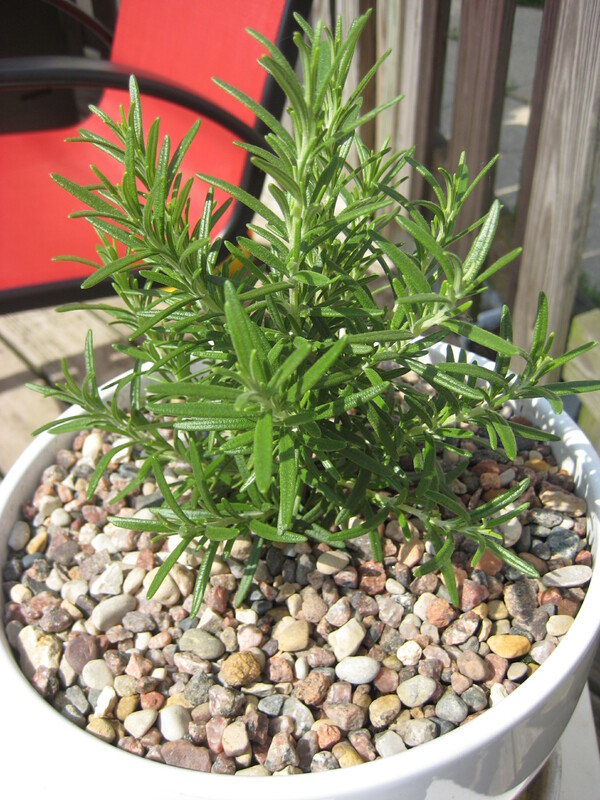 I'm so happy I decided to replace the rosemary I overwintered in the house. This one is much healthier. I use this veggie bed to rotate crops during the season. 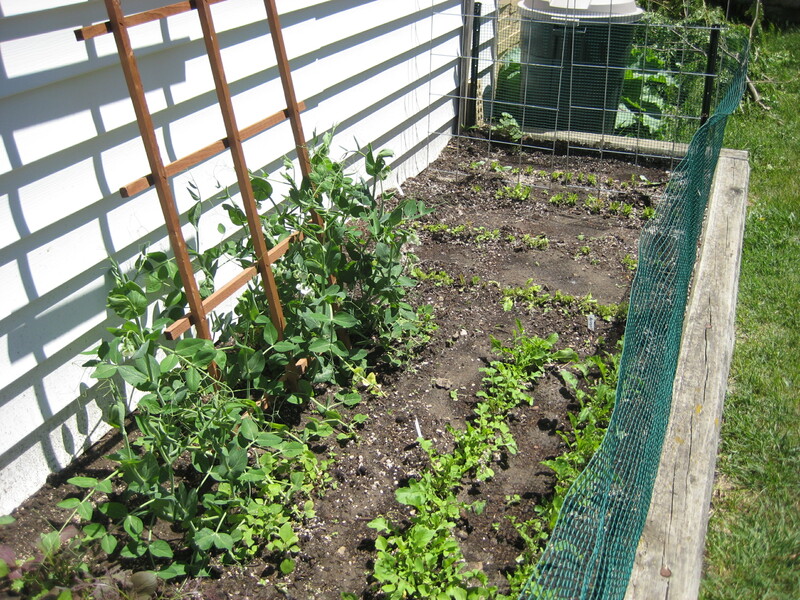 Currently it has lettuce, tomatoes, peas, corn (which gets eaten every night, I wonder if we'll get any of it), beans, squash and garlic. Seem like alot? 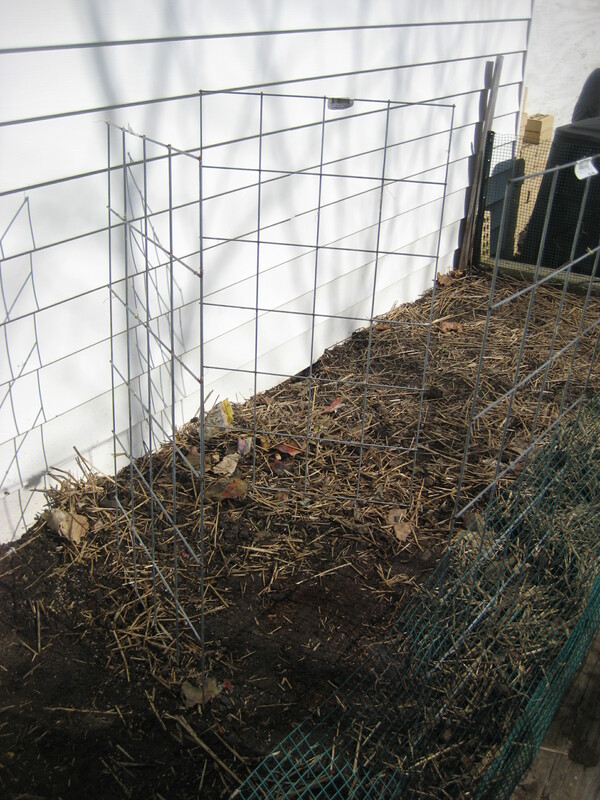 The peas, lettuce and garlic will soon be pulled to make more room for the other plants. 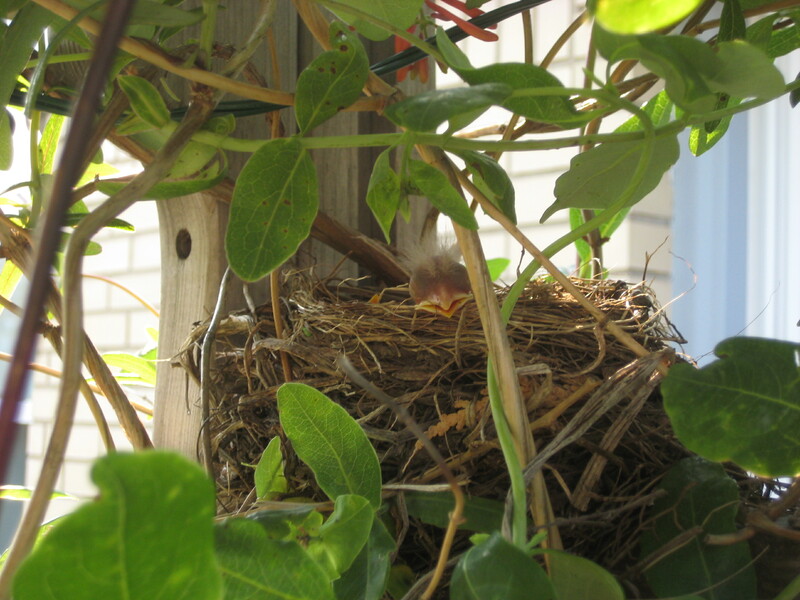 A look at the final baby robin to leave the nest as he contemplates taking the leap. Photos from the first week of June. "Tennis Ball" lettuce is a gorgeous color. Looks like we'll have lots of peas soon! 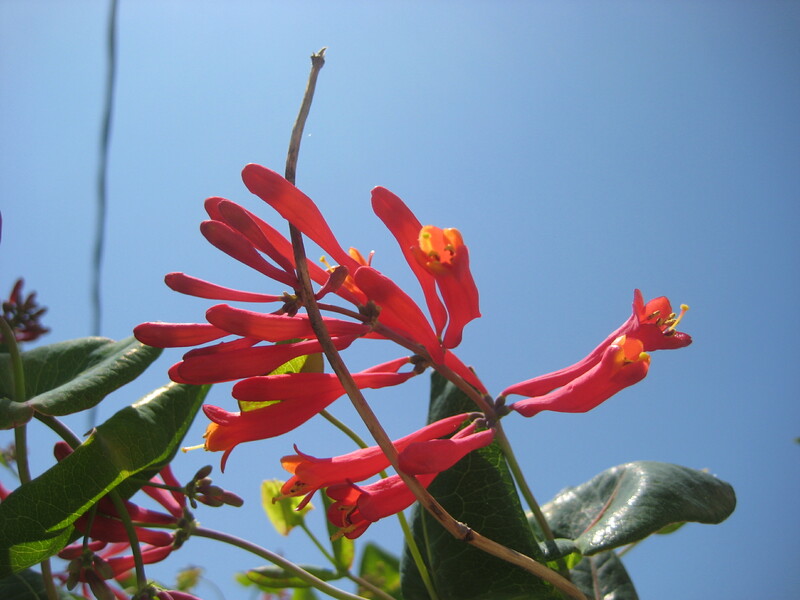 This honeysuckle looks like a delicious buffet to the hummingbirds. Somebody is looking for his mama and some food. Photos from the second week of May. 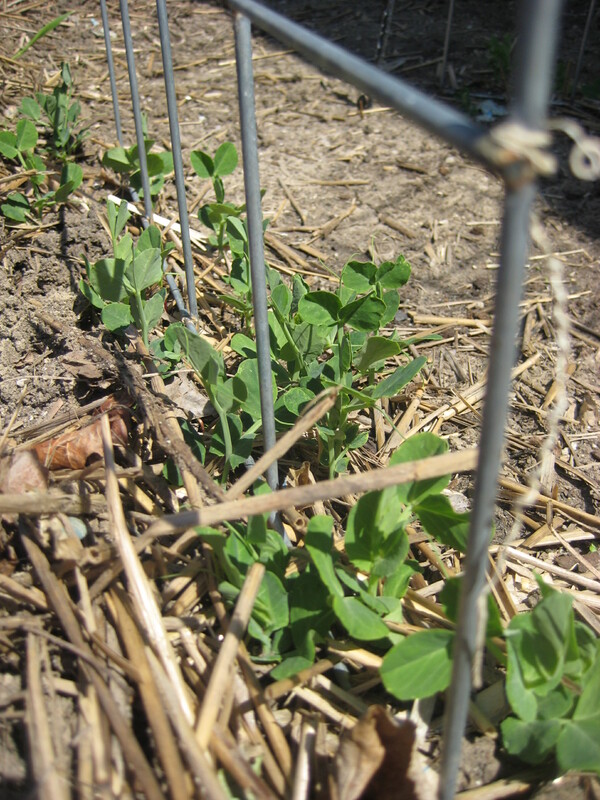 Peas keep coming up. Looking forward to eating these fresh out of the garden. 60 gladioli for $4, not a bad deal! Love how these add color in otherwise drab spots of my yard. 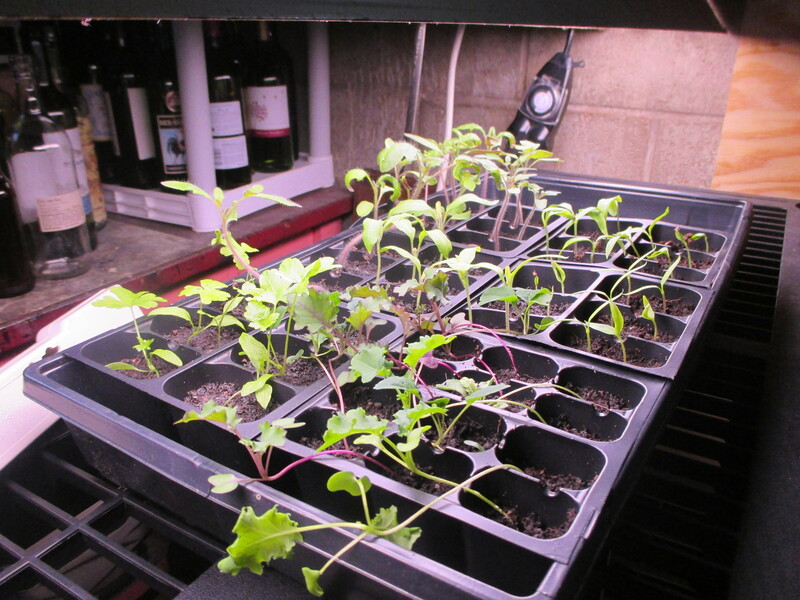 Started the process of hardening off seedlings this week. 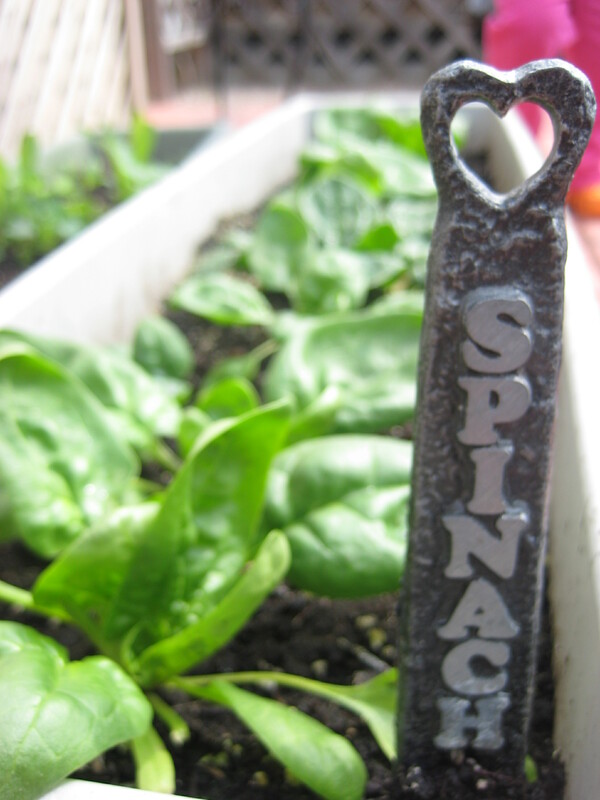 Baby spinach ready for harvesting. Enjoyed some on my Mother's Day panini. 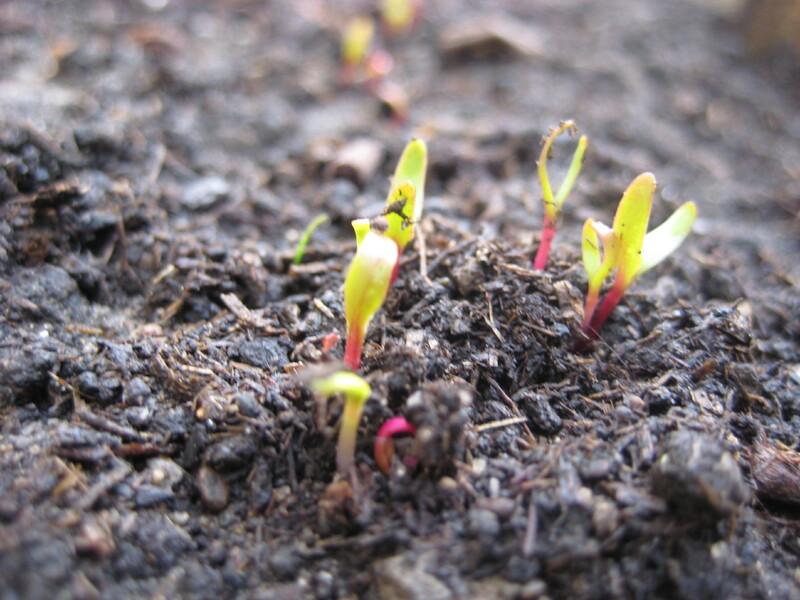 Beet seedlings emerge. I love how they are red, just like the beets. 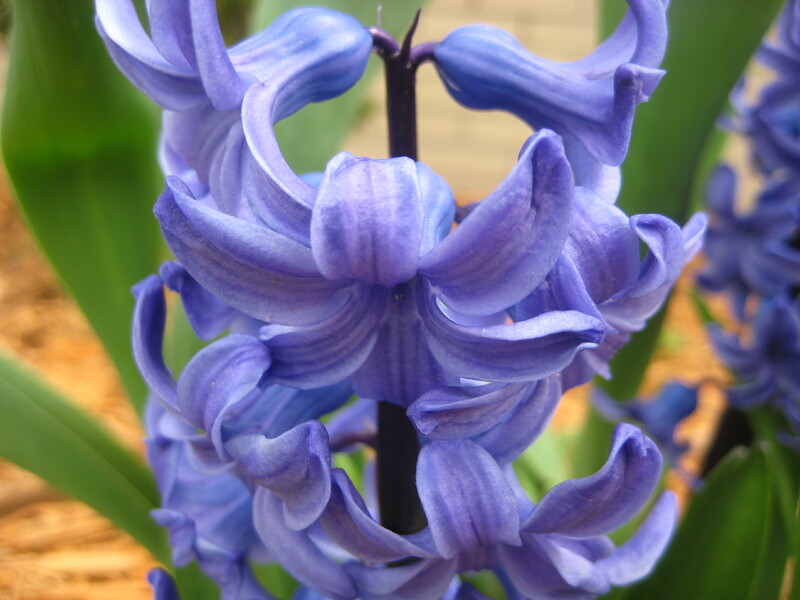 A purple hyacinth, so pretty especially close-up. 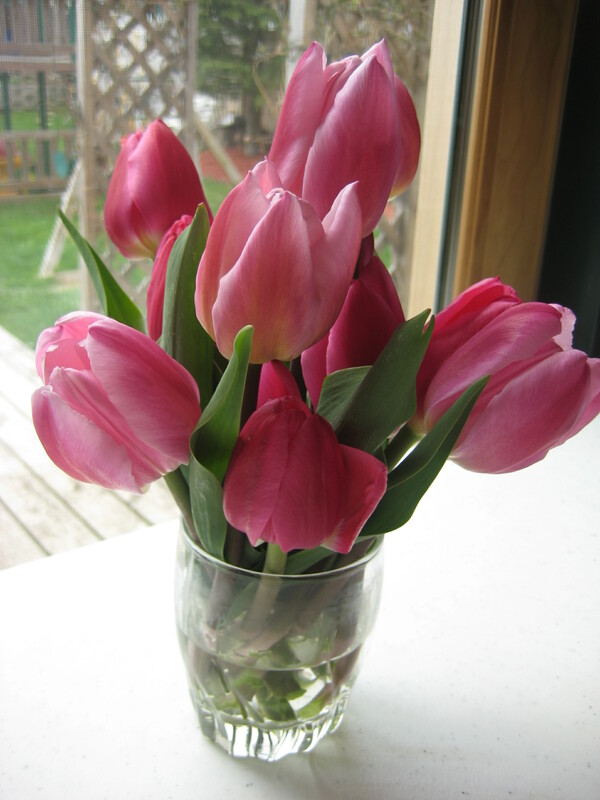 A lovely tulip bouquet from the garden. 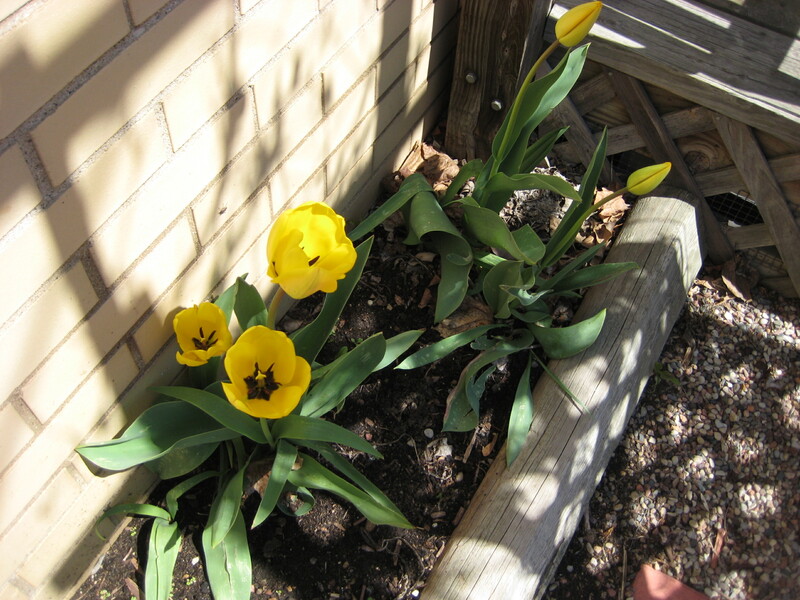 Yellow tulips finally opened today! 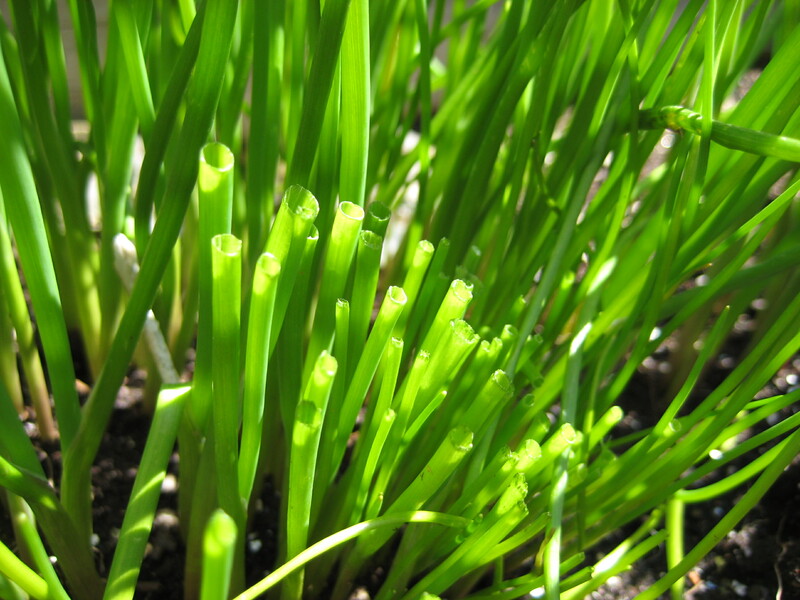 These chives were clipped last night for dinner... fresh oniony flavor. 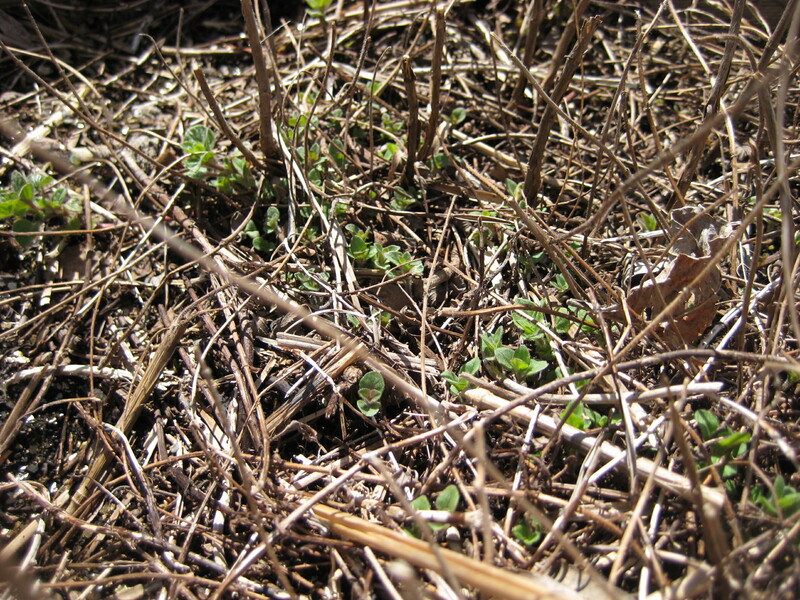 Arugula is tiny, but growing. 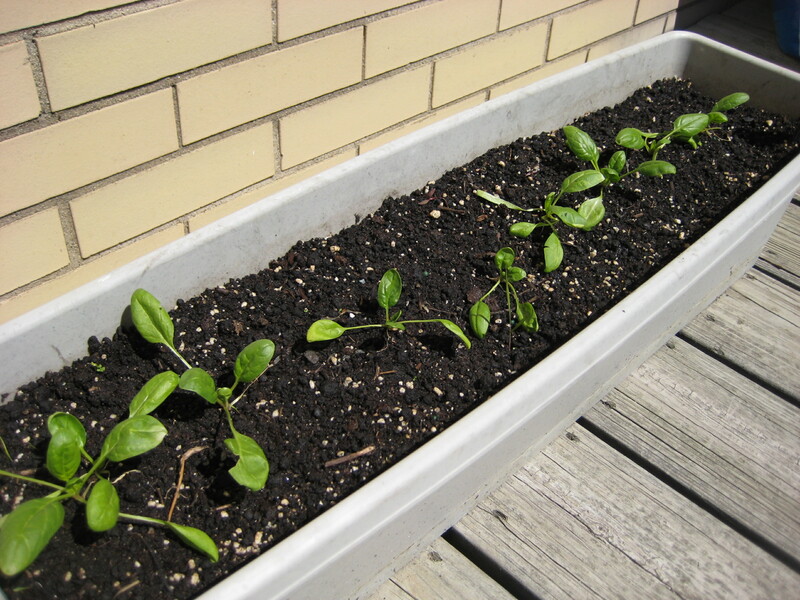 Spinach starts are now outside and doing well... should be able to harvest baby spinach soon. 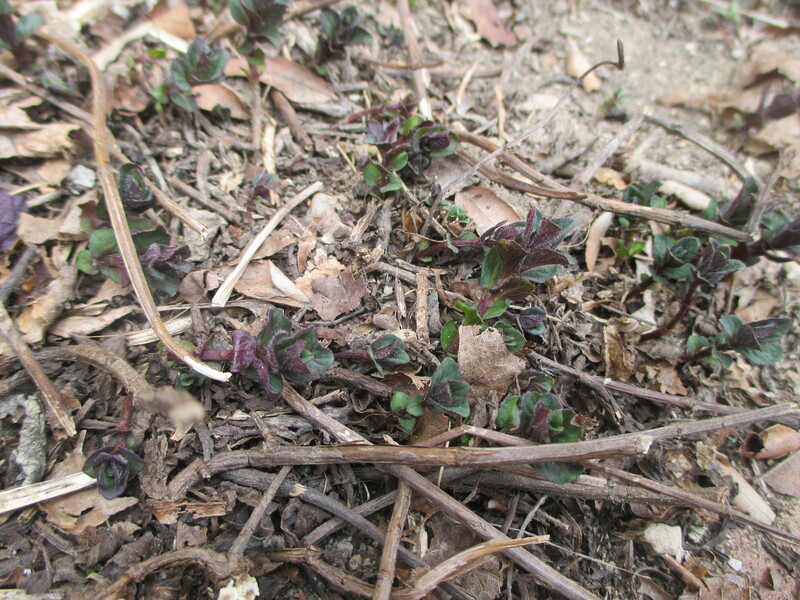 Oregano leaves are plentiful. 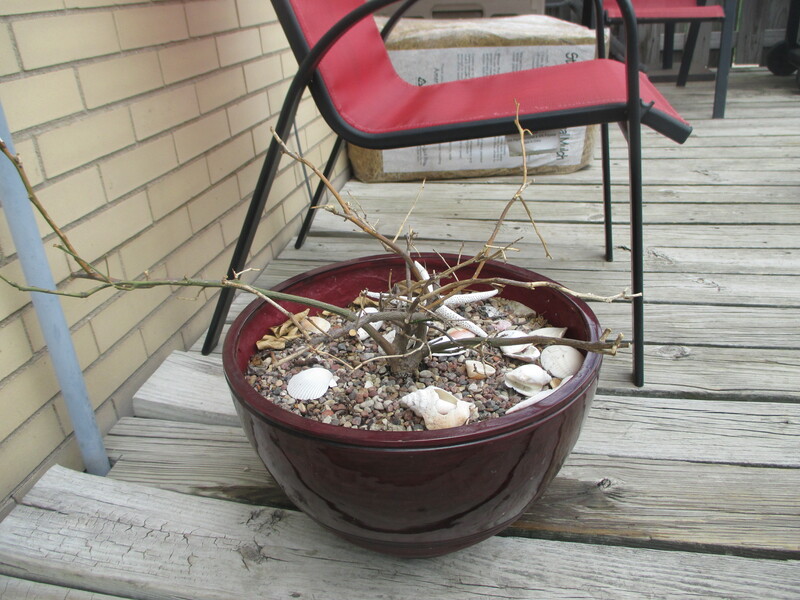 This is now a three-year-old plant. Here's something to enjoy tomorrow. Photos from the first week of April. 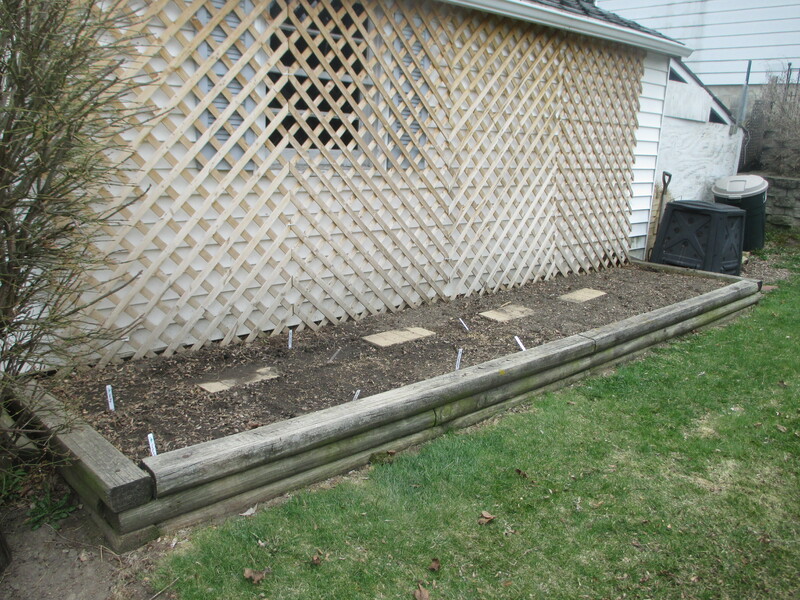 Finally made it out to the garden to do some digging and planting. After turning this bed over and adding some amendments, my son and I planted peas around these supports. We arranged them into a little "house" so he can go in and pick peas. 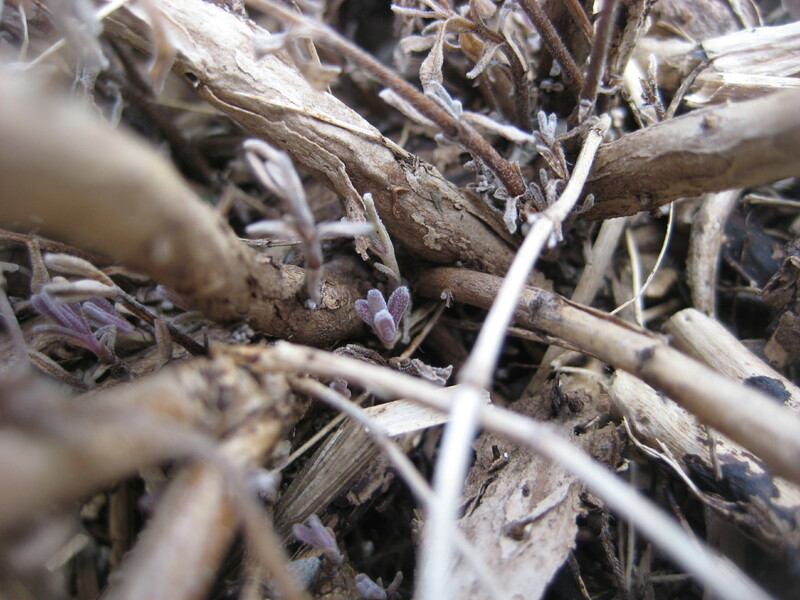 I love that the emerging lavender buds ARE the color lavender. So pretty. Aha! Proof that the squirrels didn't take all the tulips I planted in my raised bed. I have plans to use these for bouquets, hoping more come up. 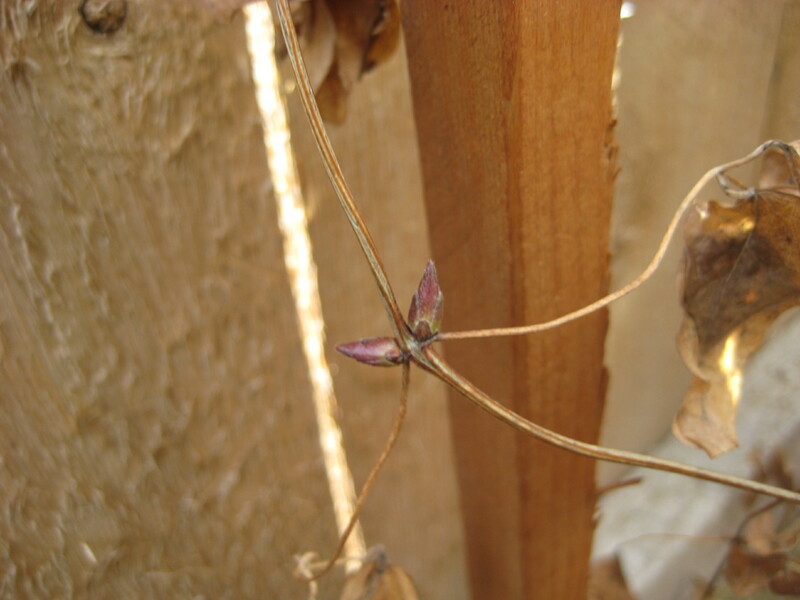 My daughter's clematis vine wakes up to spring. 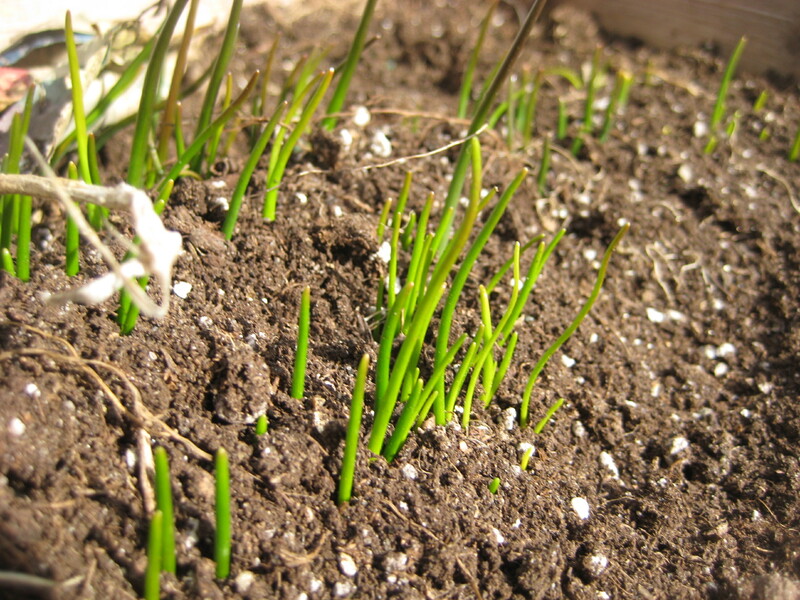 Despite freezing temperatures, a hail storm and a lack of sun, the chives grow. 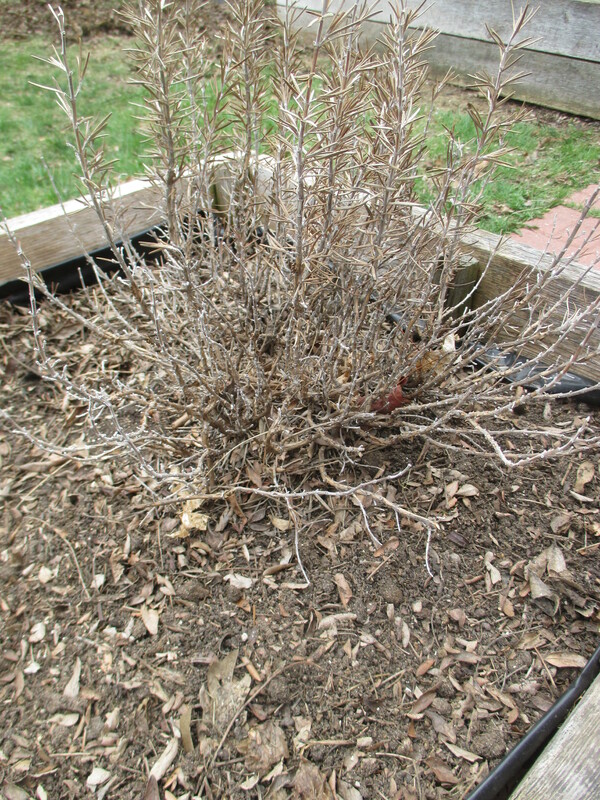 This Rose of Sharon won't be bare for long. 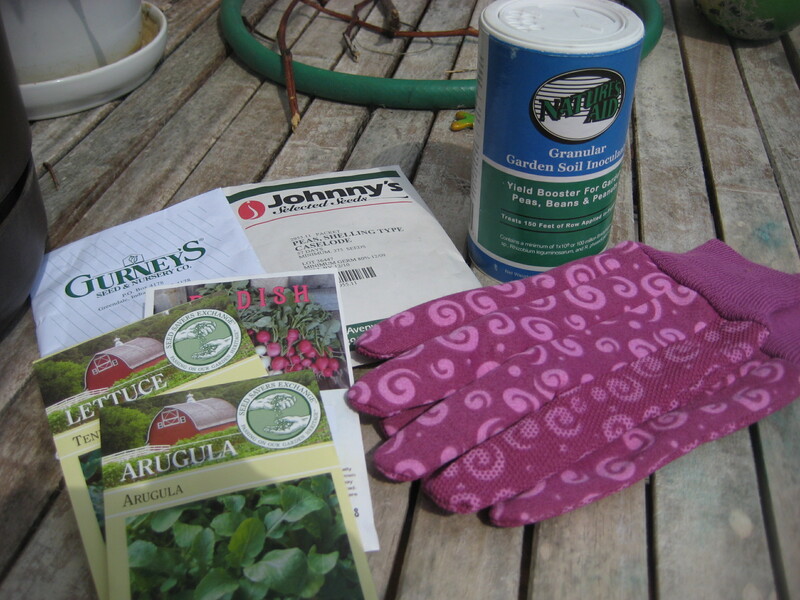 Working a small urban garden requires creativity and planning. 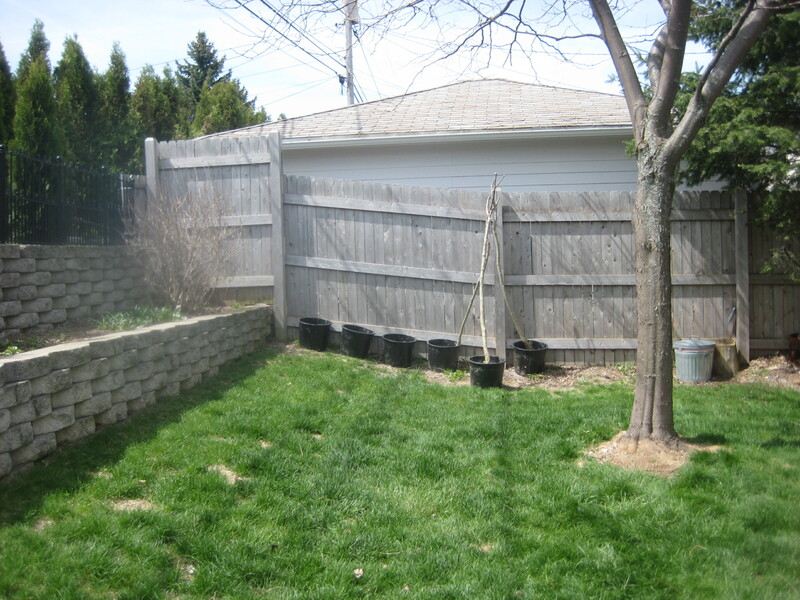 With limited space and sometimes odd sun and shade patterns, a gardener needs to have a strategy for working the space. My 2010 garden was the first garden I planned in which I purposely planted early and late crops, tall and small crops, quick growers and slow growers together but in harmony with one another in order to make the most of my space. For a first timer, I did pretty well! 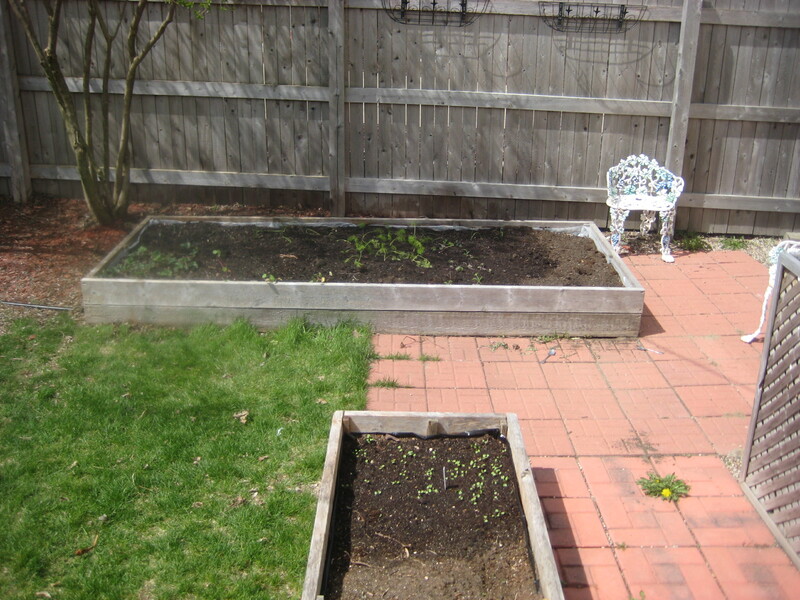 Before and after, the vegetables filled in the entire space. 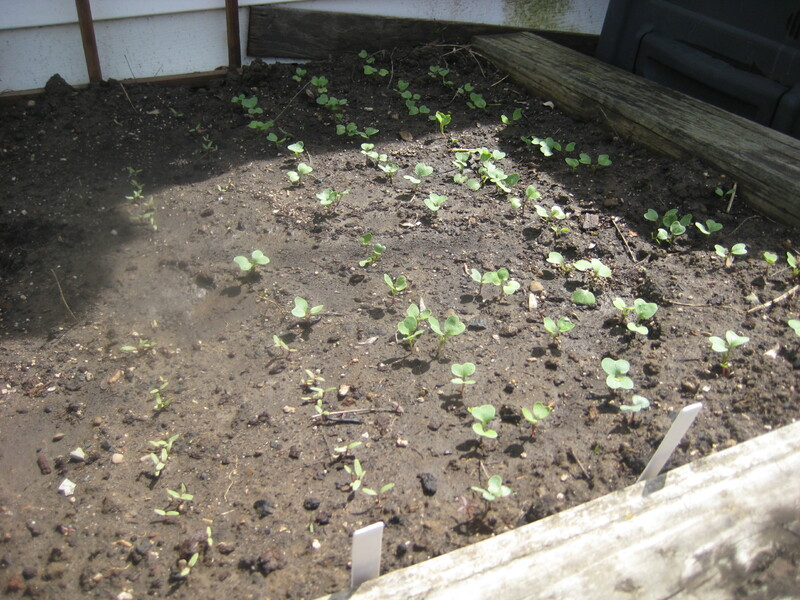 In one raised bed I started the season with peas, lettuces, arugula and radishes. 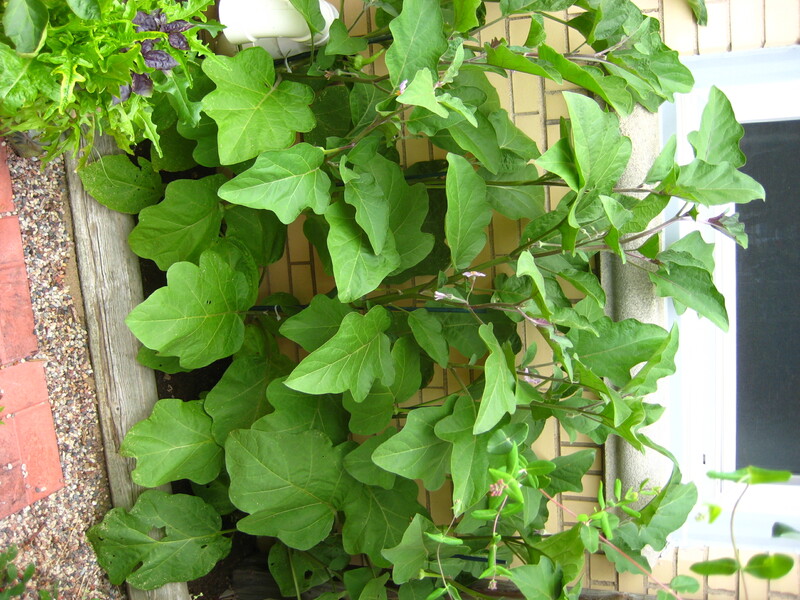 As those were being harvested, the cucumbers began to take precedence in the space, happily climbing up trellis in the middle of loose leaf lettuce. 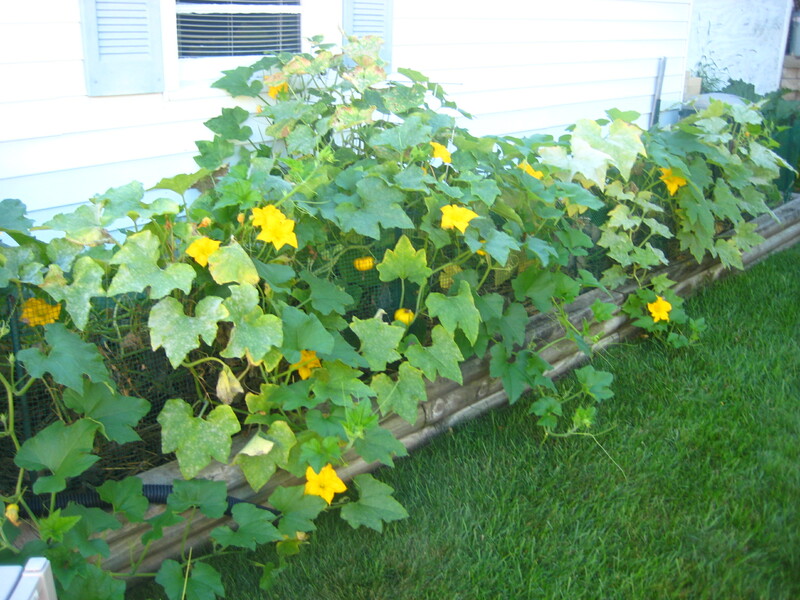 I was picking the cucumbers by the time the pumpkins really needed to sprawl out, and was able to pull out the cucumber vines when they were done producing so that the pumpkins could have the whole bed to themselves for the end of the season. 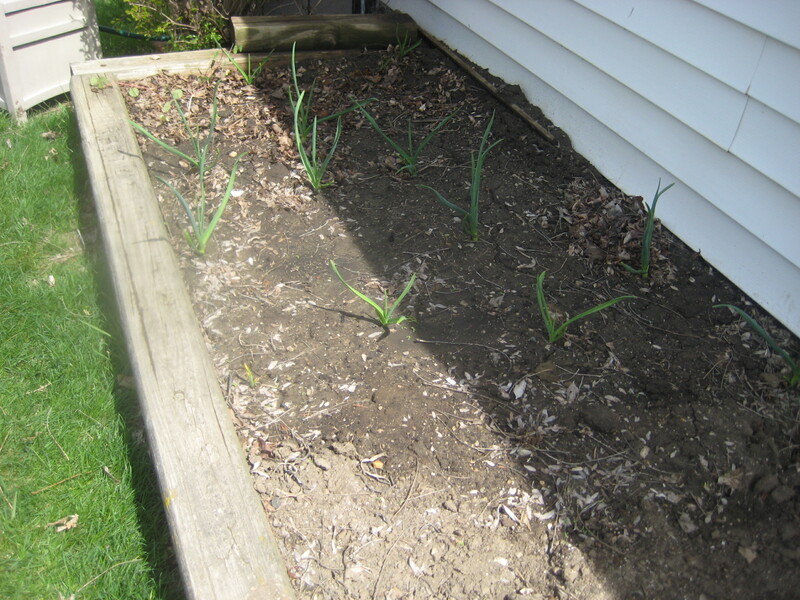 When pumpkins were done in October, I planted garlic. 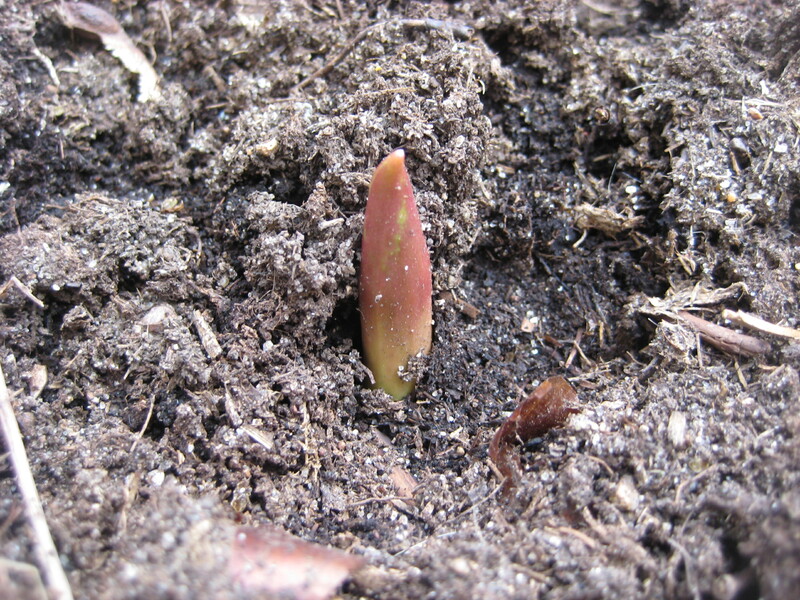 The garlic will kick off the 2011 season when it shoots out of ground in about a month. 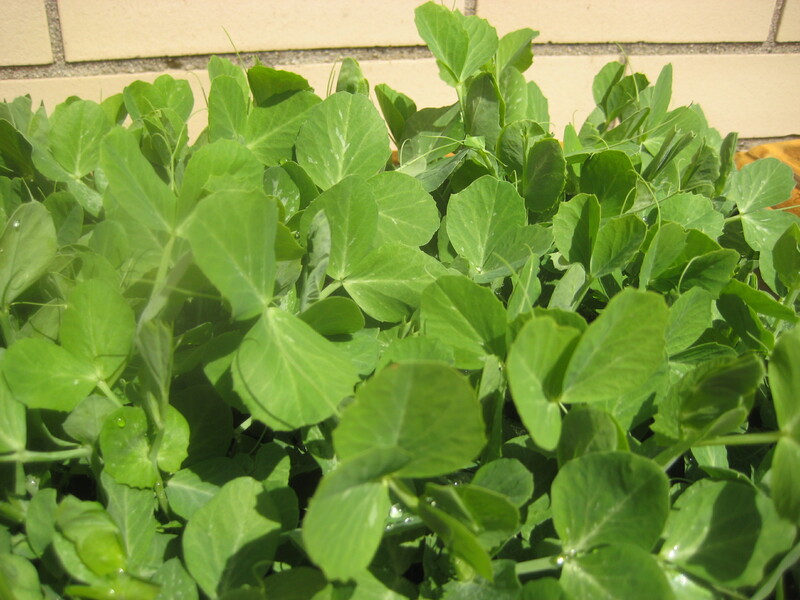 Peas and lettuces fill this bed in May and June. 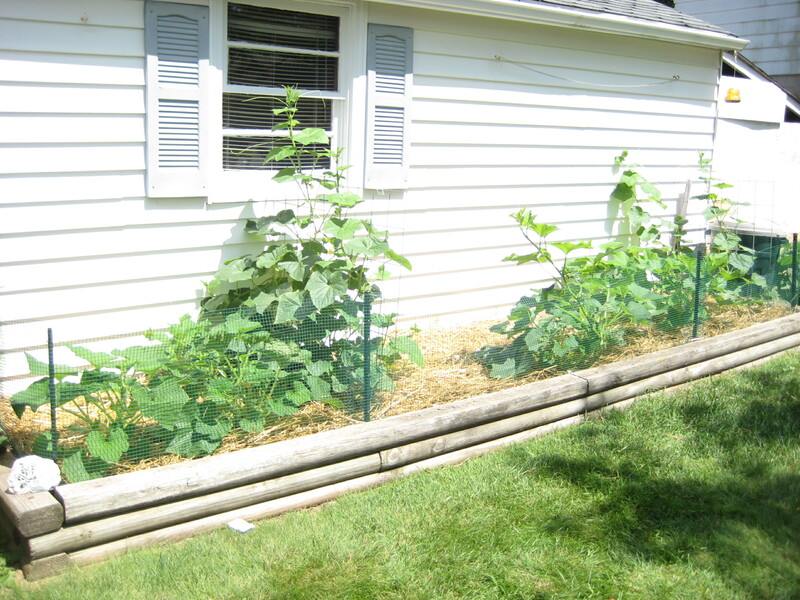 By the end of June, cucumbers are climbing up the trellises. Pumpkins take over the space to close out the season. In the other bed, things got even crazier. 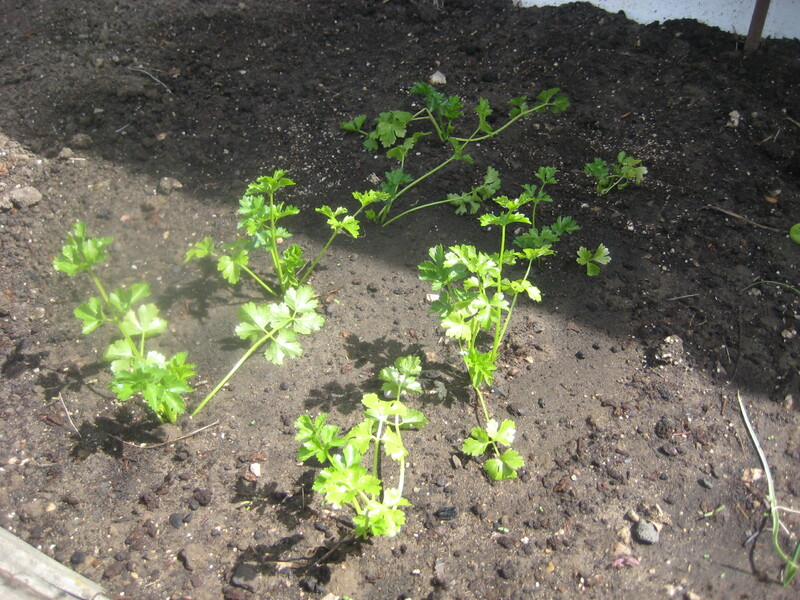 Carrots were planted in a line down the entire length of the bed, dividing it. 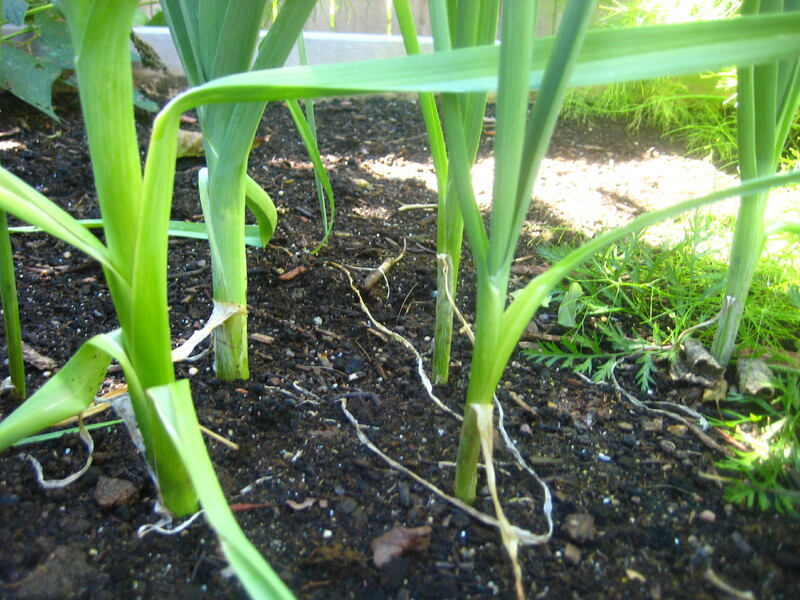 They took a break in the middle of the bed to give the leeks a 1′ x 1′ space to grow. I only grew 8 small leeks in that space, but they did grow! 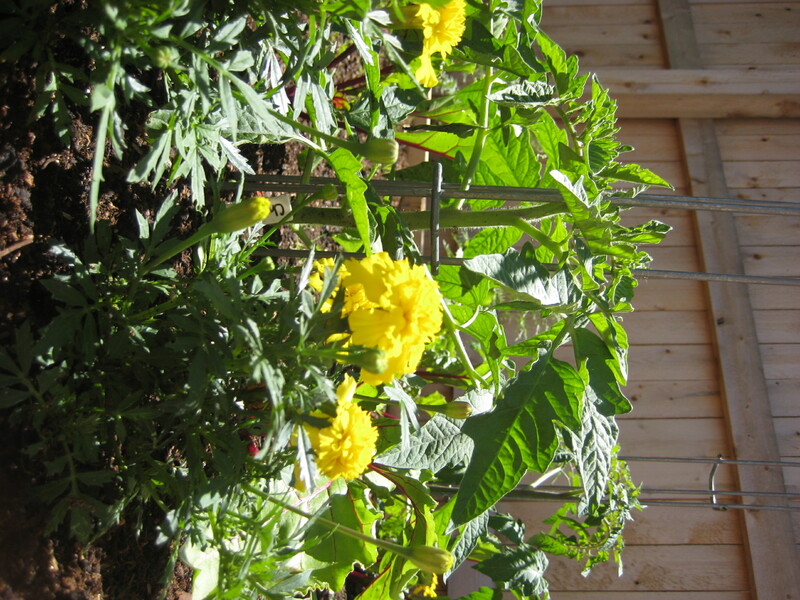 Beneath tomato plants, I planted beets; next to those, marigolds. 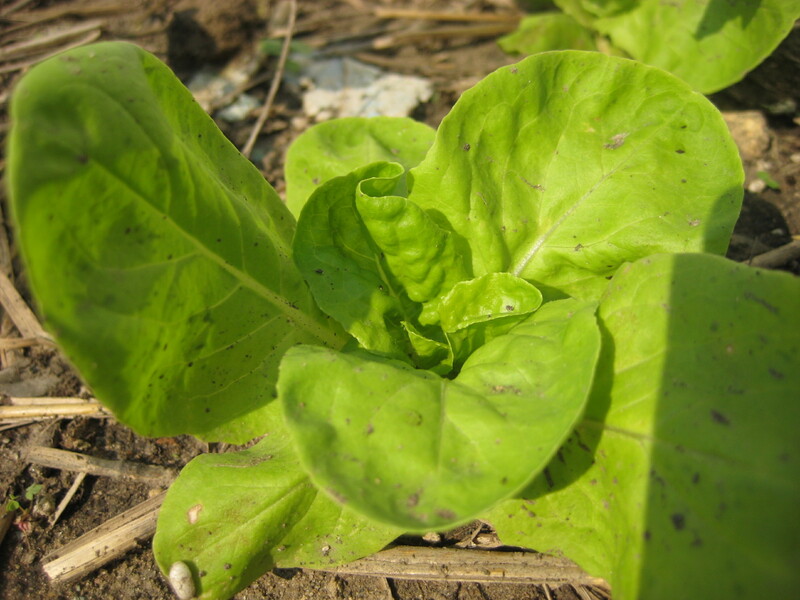 Cabbages and radicchio were neighbors to the spinach. 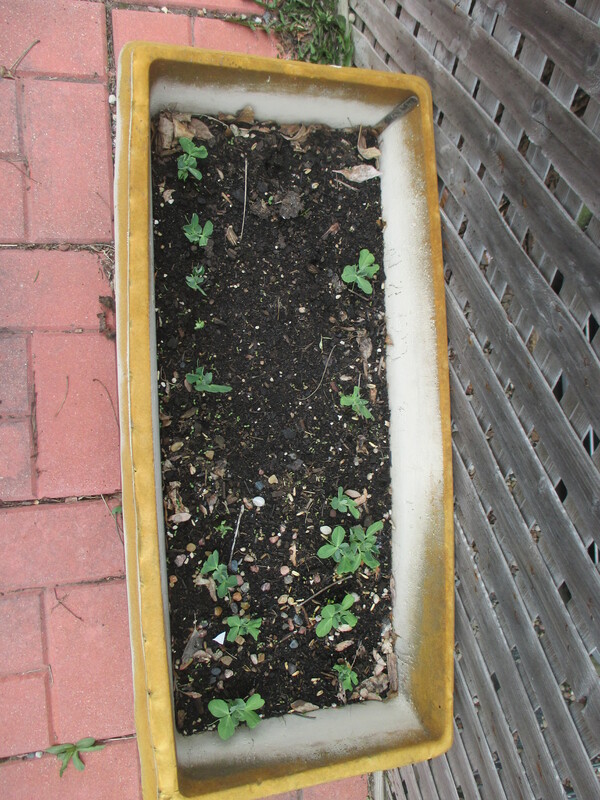 Beans grew on both sides of the bed, and in the last remaining space I put fennel seedlings. Close quarters for the fennel and beans. 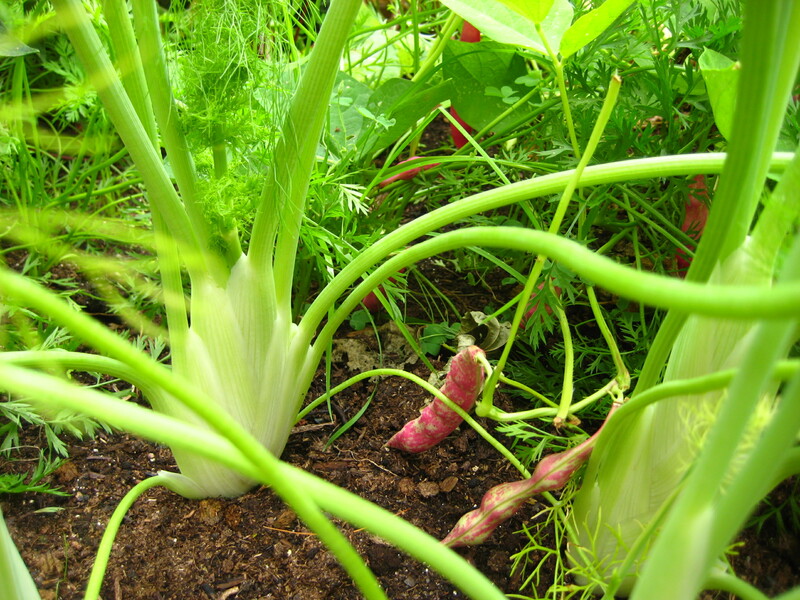 Leeks filling a small space. It was about mid-season when I realized how much the sun was affecting one corner of that bed. A tree was keeping it shaded for a few hours more than the rest of the garden, so the beans on that side did poorly. And the insects really liked the damp microclimate that was created by the shade. This was compounded by the fact that things were planted closely together, essentially shading each other. This year I will know this and plant accordingly. There are many ways to plan a garden, I prefer to sketch things out beforehand, making sure I’ve got a spot for everything. 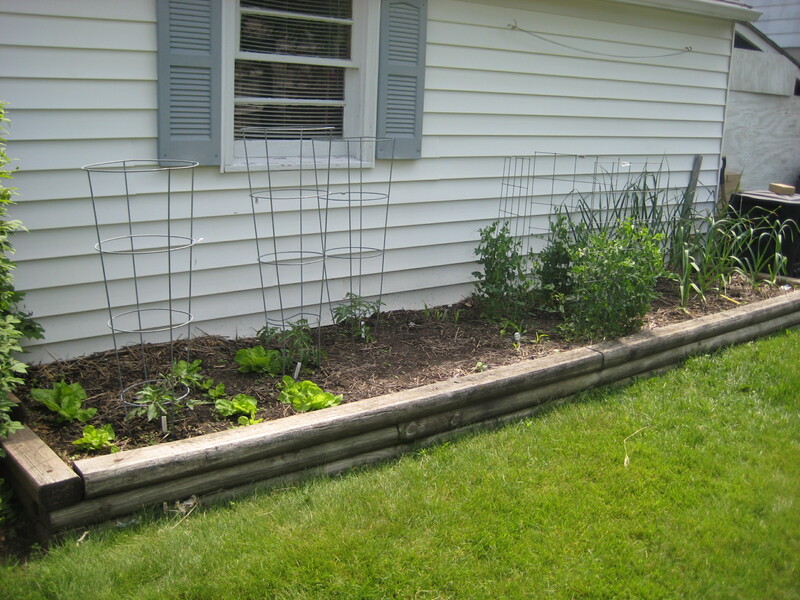 Besides the raised beds, I use pots and flower beds along my house as well. All of these end up on my sketches, labeled with the intended occupant. 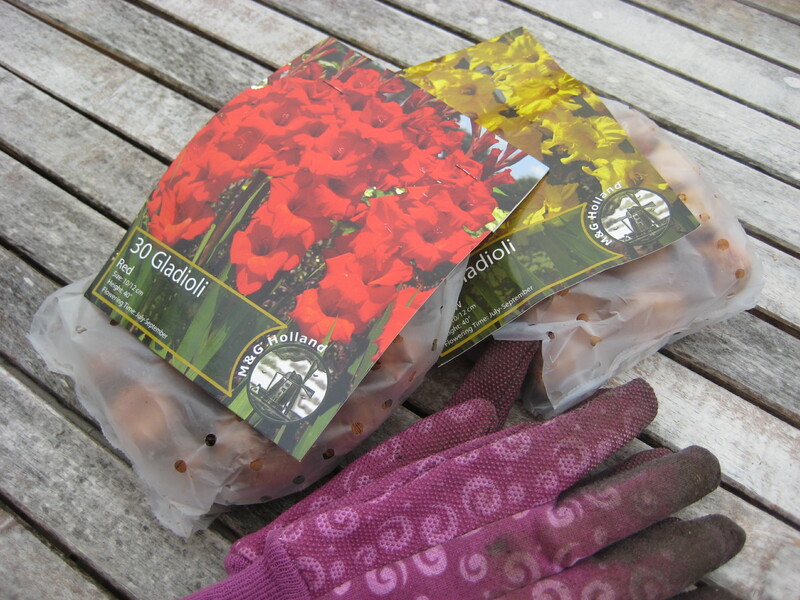 Once I’m out in the garden putting the plants in, I often make changes to my plan. It’s the gardener’s prerogative I suppose. Sometimes something doesn’t feel right, or look right. I change it. Sometimes what seemed like a good idea during a February planning session turns out to be a ridiculous idea in reality. I’m open to that. Last year I wanted to grow celeriac–arguably the ugliest vegetable. I love soup made with celeriac, onions, apples and potatoes in the fall. It didn’t work out though. Turns out celeriac needs to be started really early, and my plan didn’t call for that. When I realized this I had to make some changes. No big deal though. A garden is a very fluid thing. It ebbs and flows. 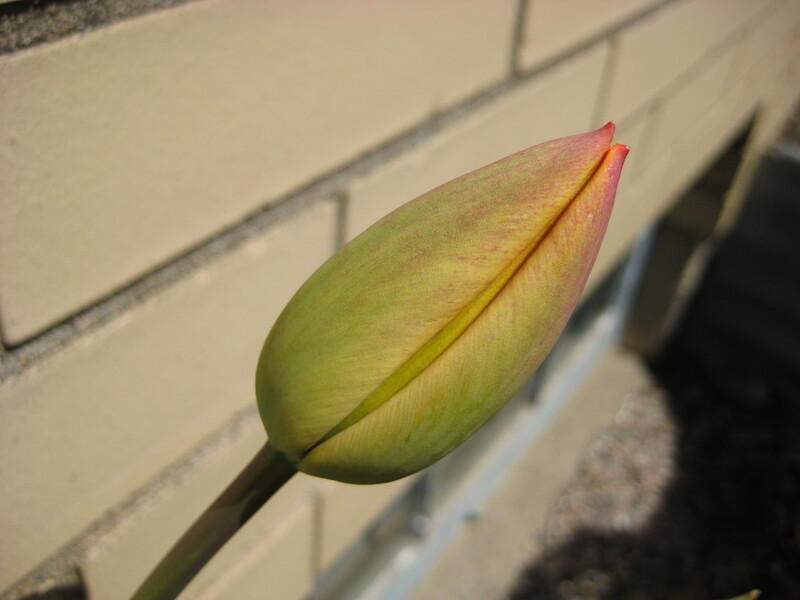 It changes itself depending on sun, water and other weather conditions. The gardener takes a cue from the garden itself and adjusts accordingly. I’m working on my 2011 plan right now. It looks like I’ll need to buy some new supports for beans. 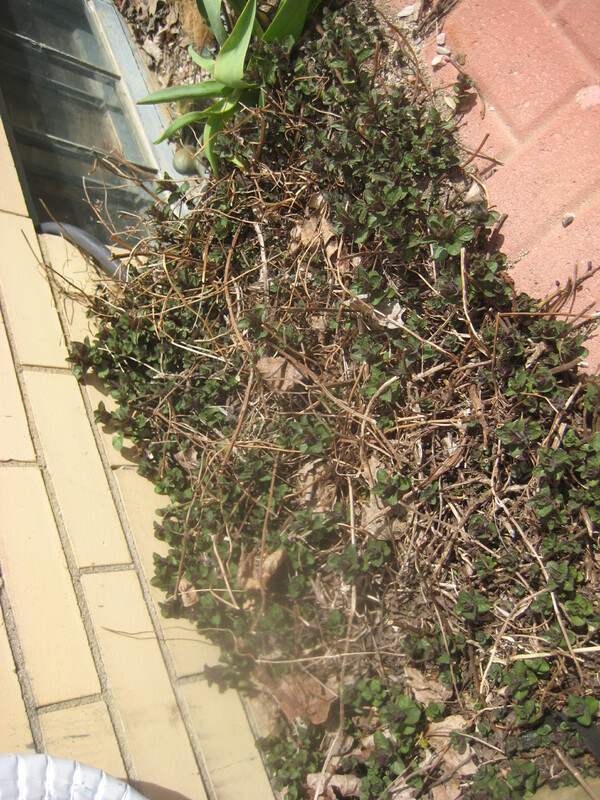 I also need to think about how many vining plants I can realistically grow in a small space. 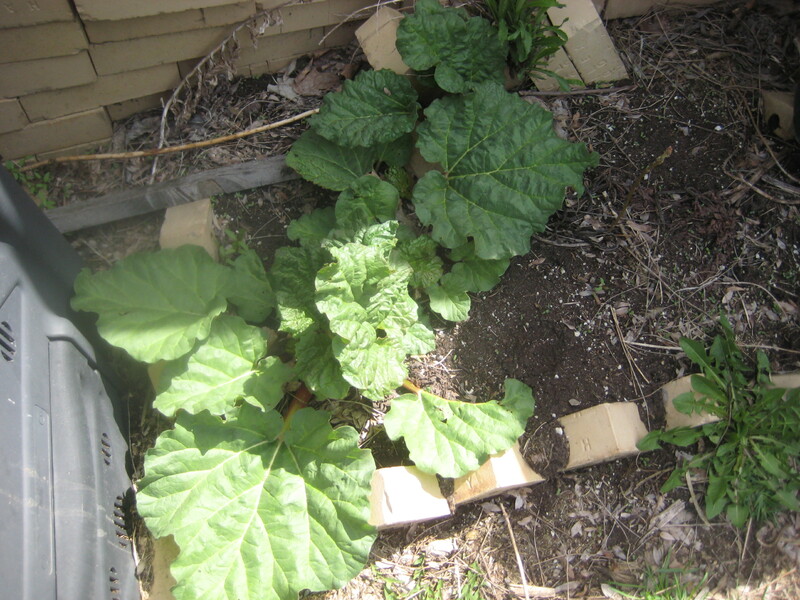 I’m so tempted to try melons and squash as well as cucumbers, but how to manage so many vines? It really does require a plan, and probably some prudence as well. I’m reminded of The Parable of the Sower (Matthew, chapter 13) in which the farmer scattered seed over various surfaces with equally varied results. We all know you can’t grow a seed on a path, a rock or among the thorns. Good soil produces good results. 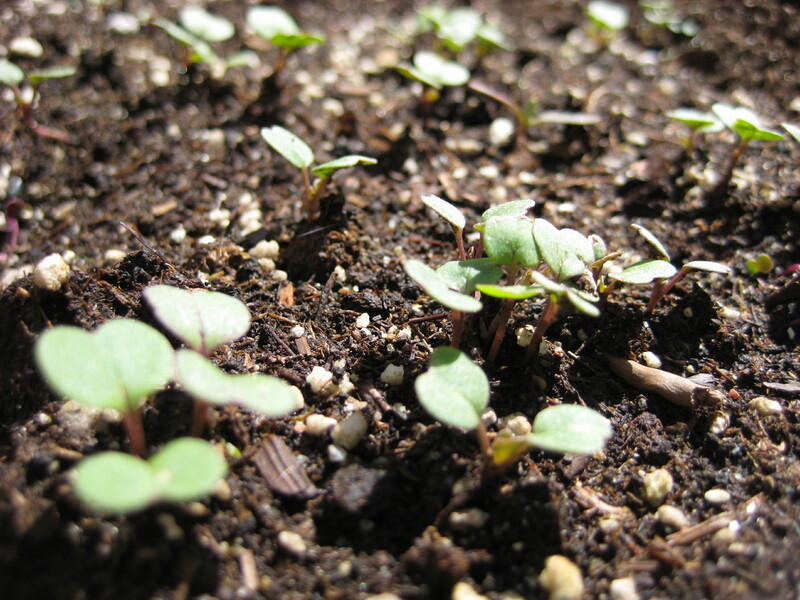 Likewise, God’s Word works on the soil that is ready to receive it. My heart needs to be a vessel of good soil, ready for God to work it. I can’t let the thorns take over my heart or let someone or something steal the Word from me because I’ve covered my heart with a path. And I certainly don’t want God to find a rocky place when he comes to sow his seed. I hope my garden here at home is as abundant as that in the parable! 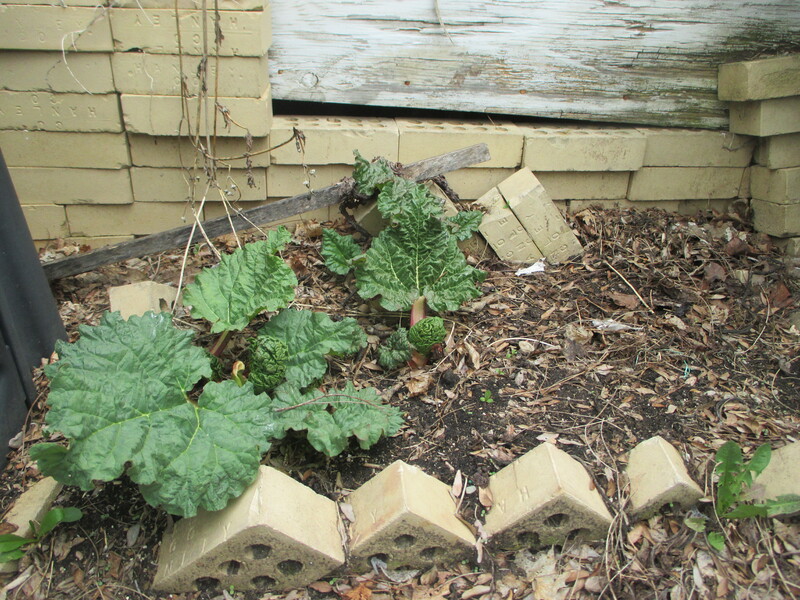 An "abundance" of eggplant grows next to the house.